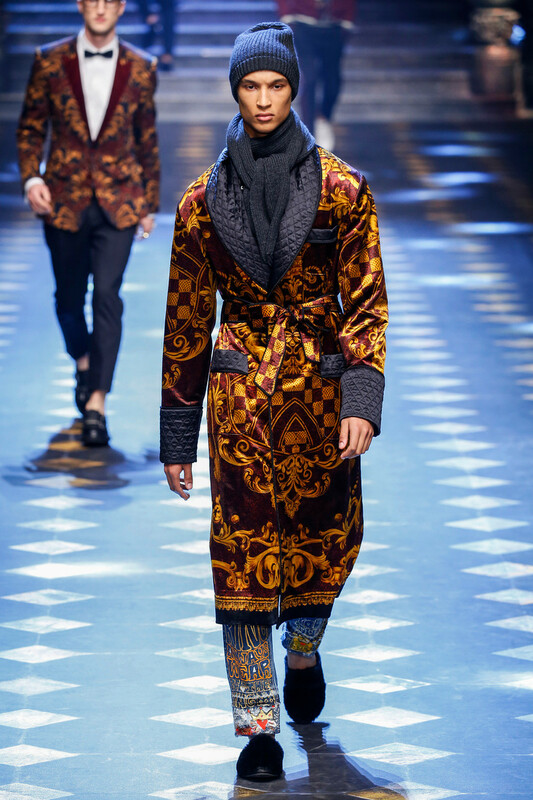 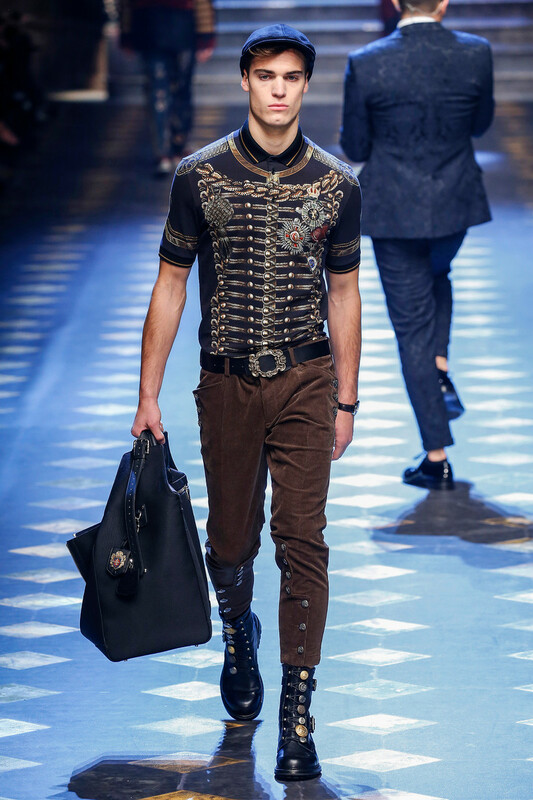 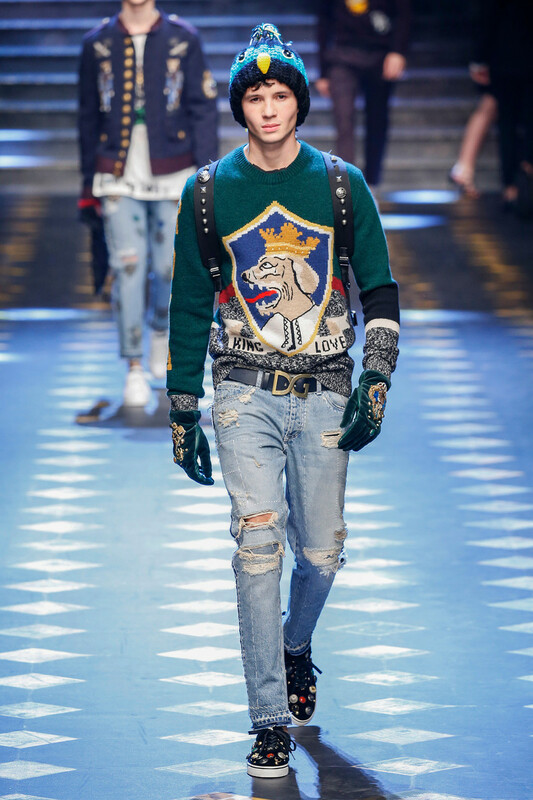 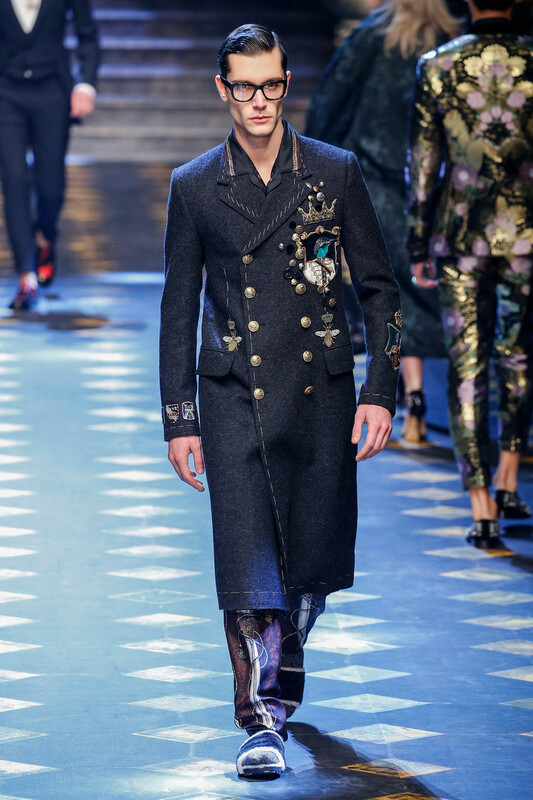 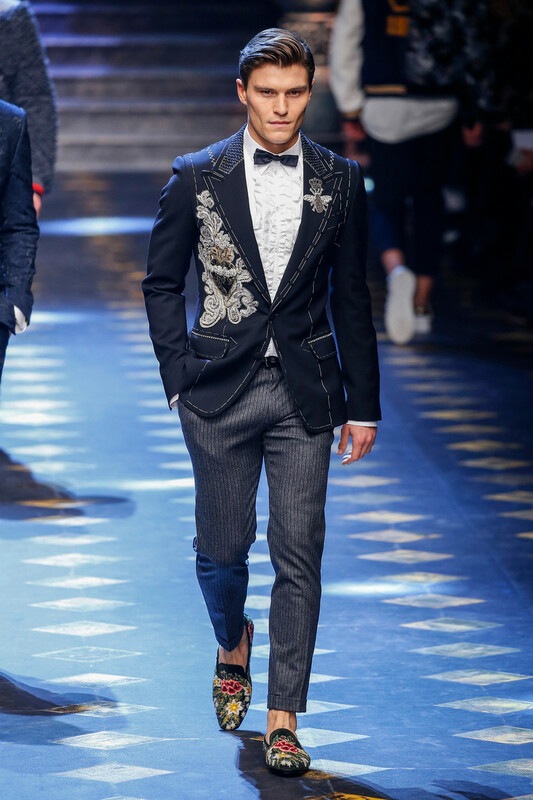 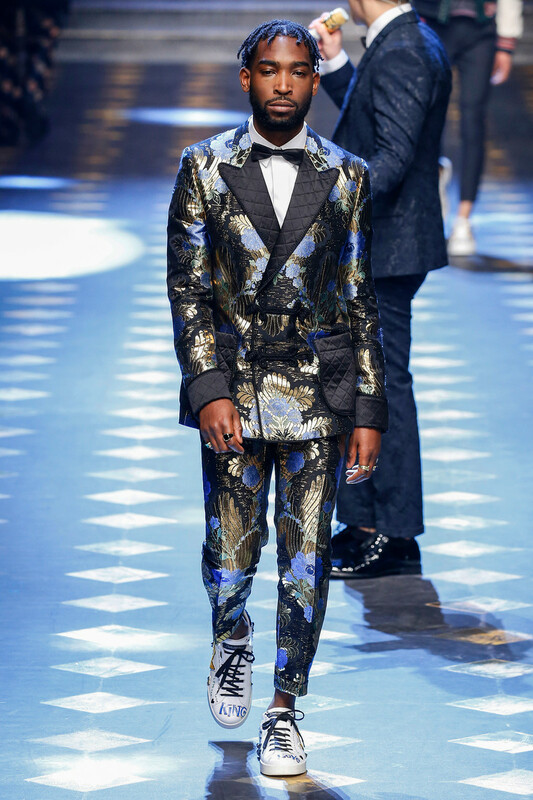 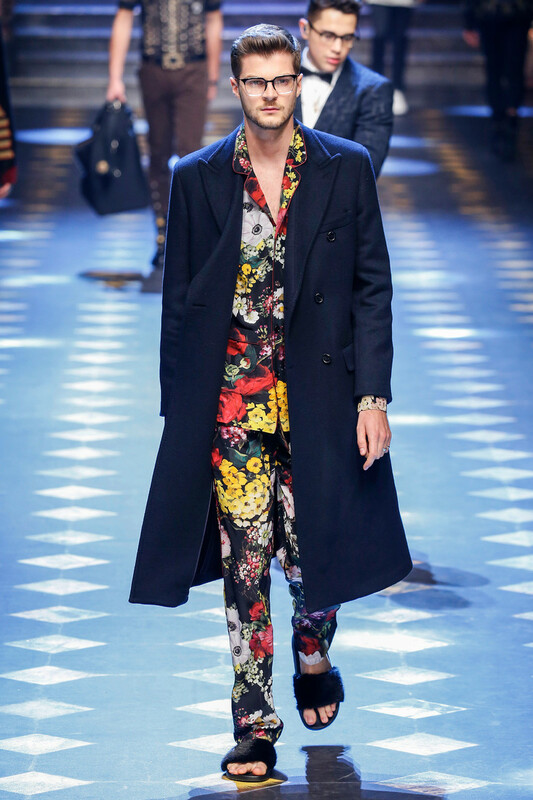 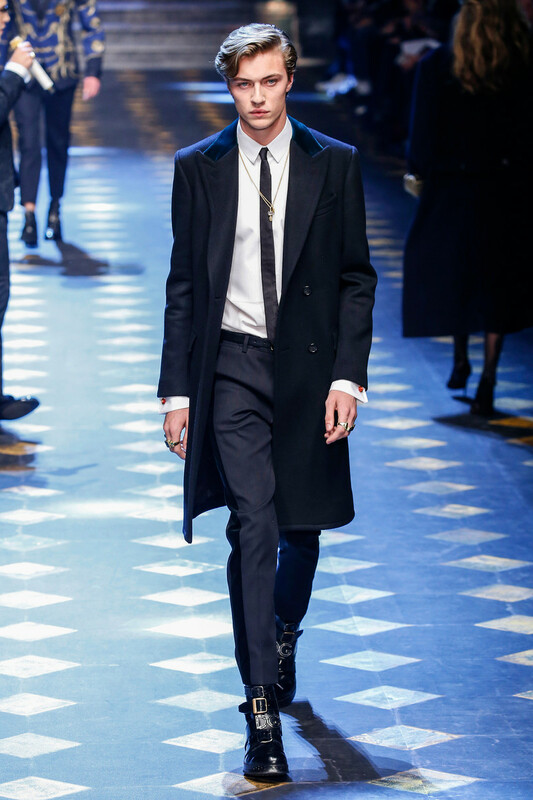 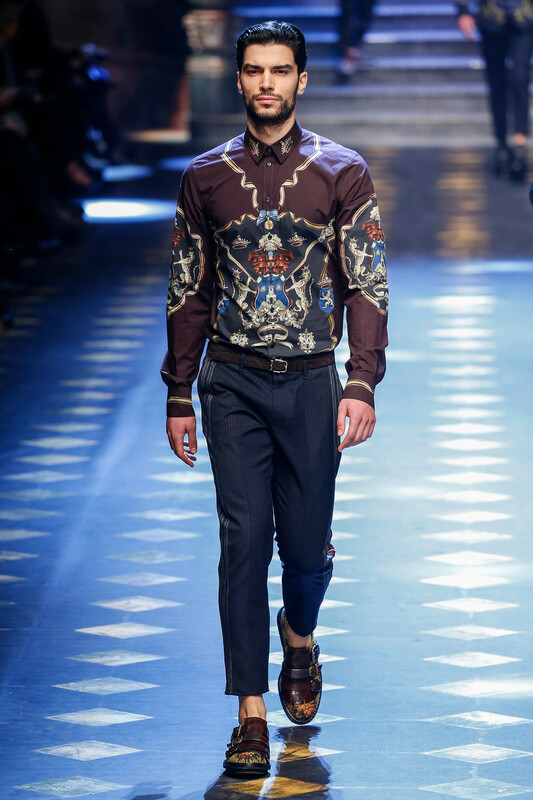 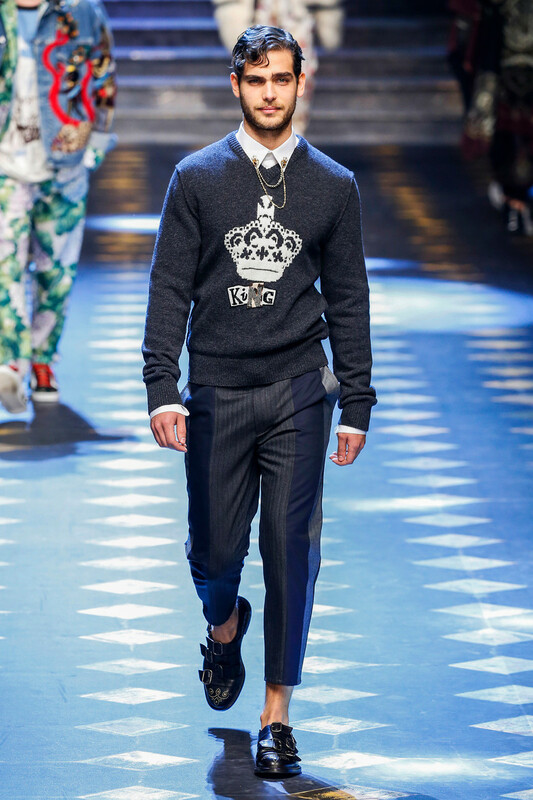 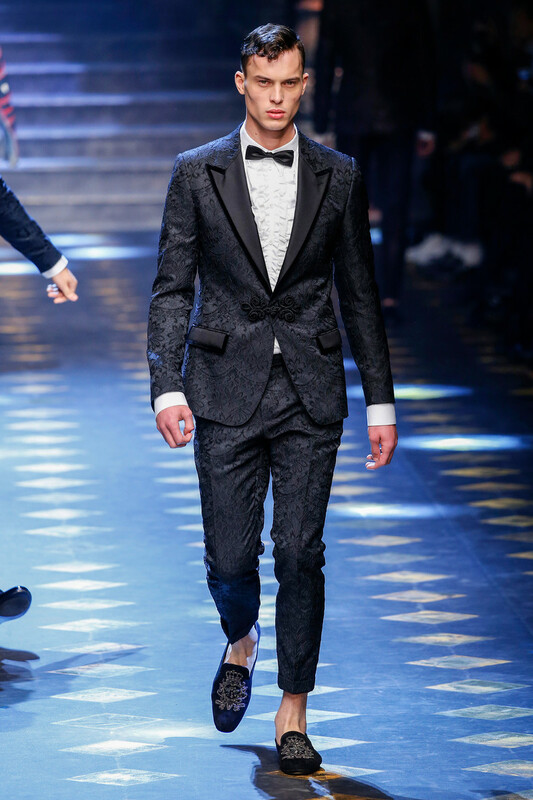 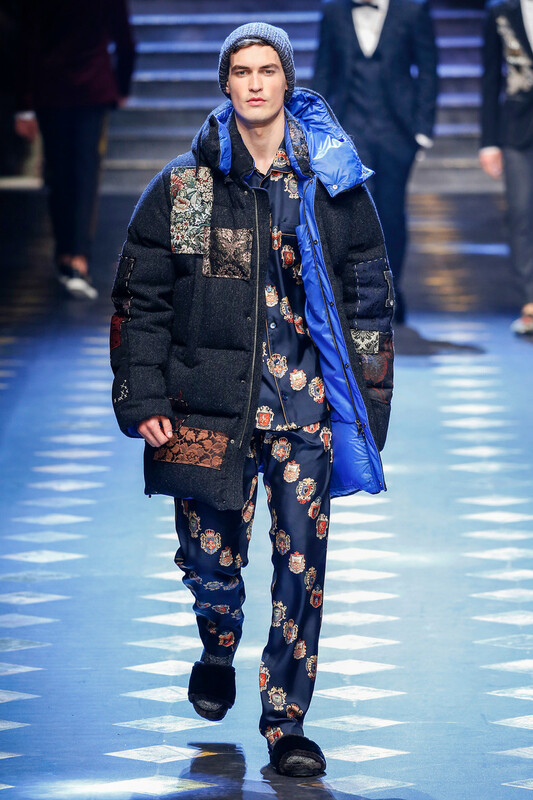 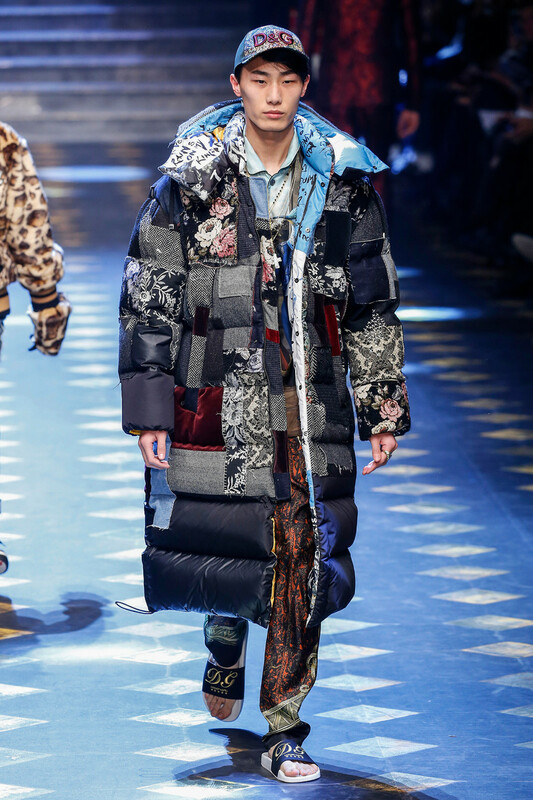 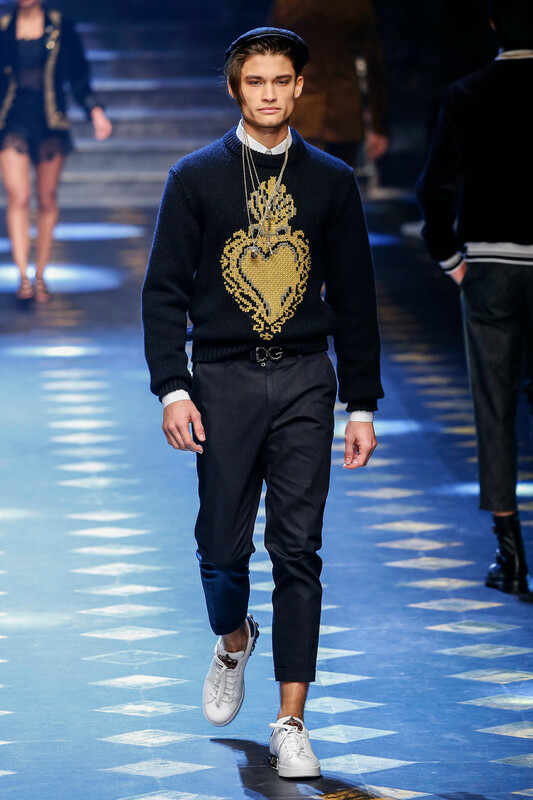 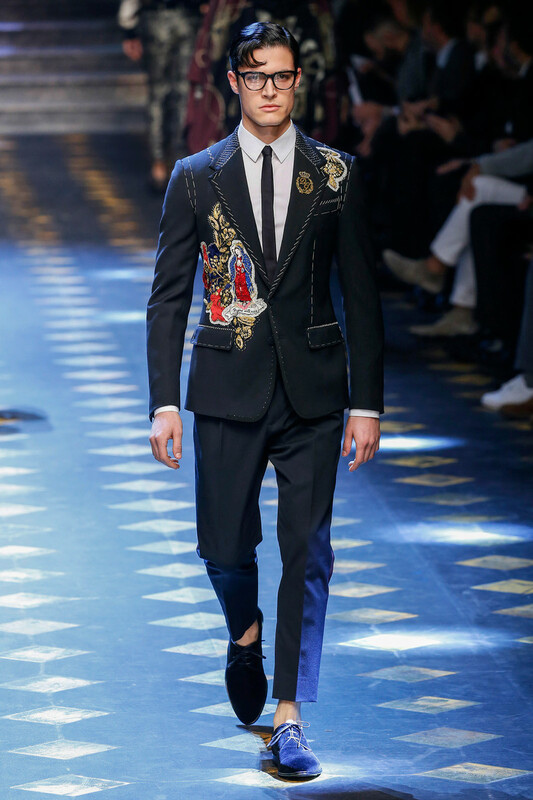 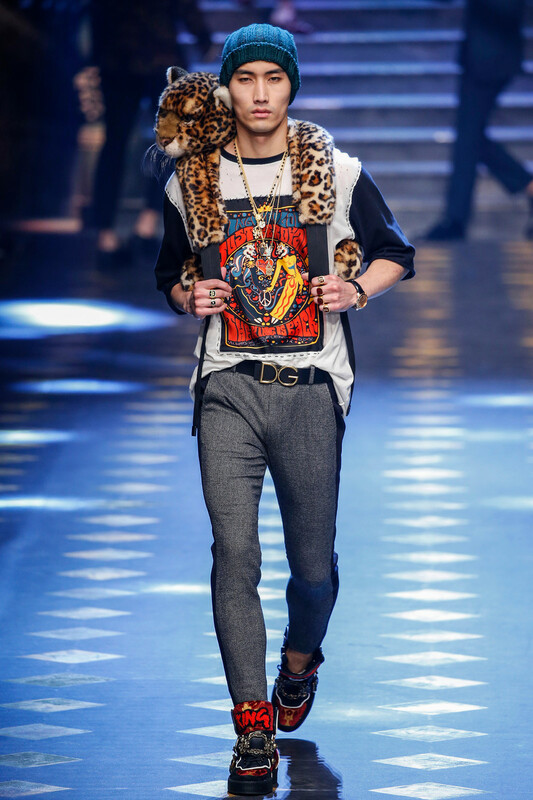 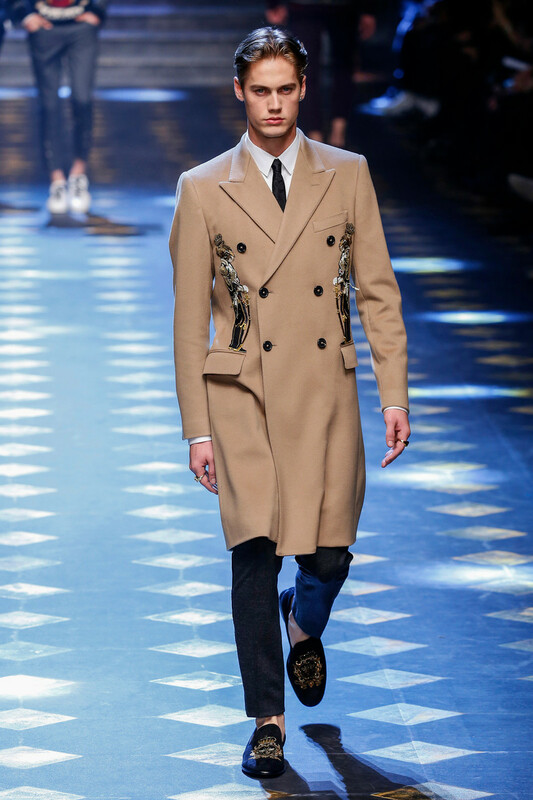 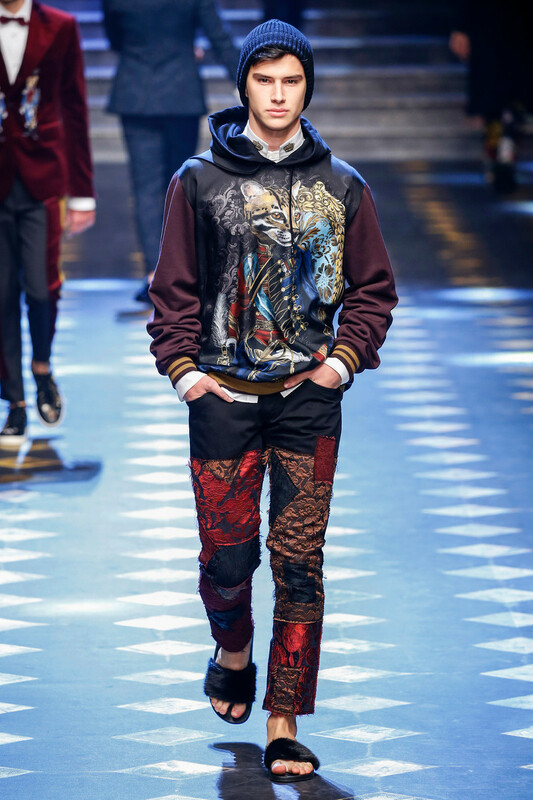 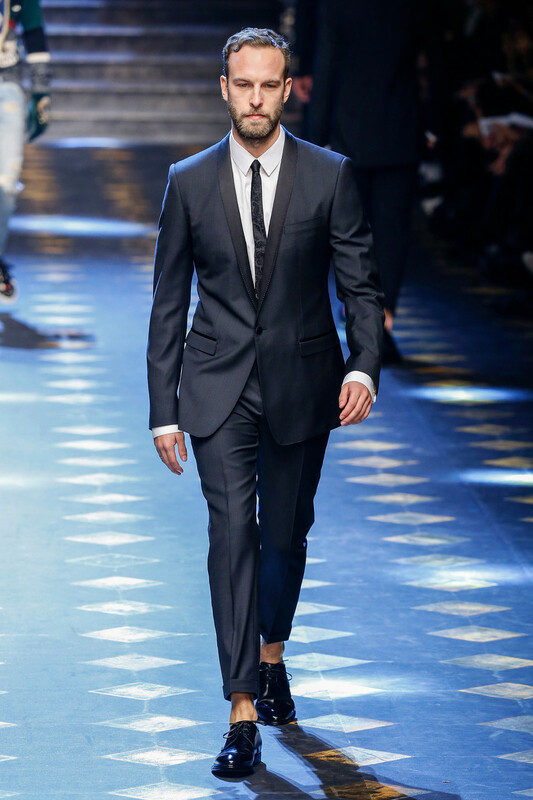 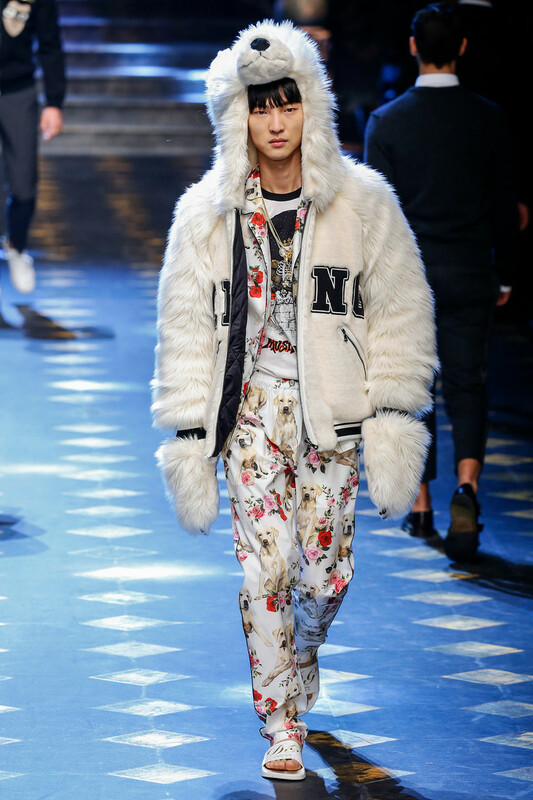 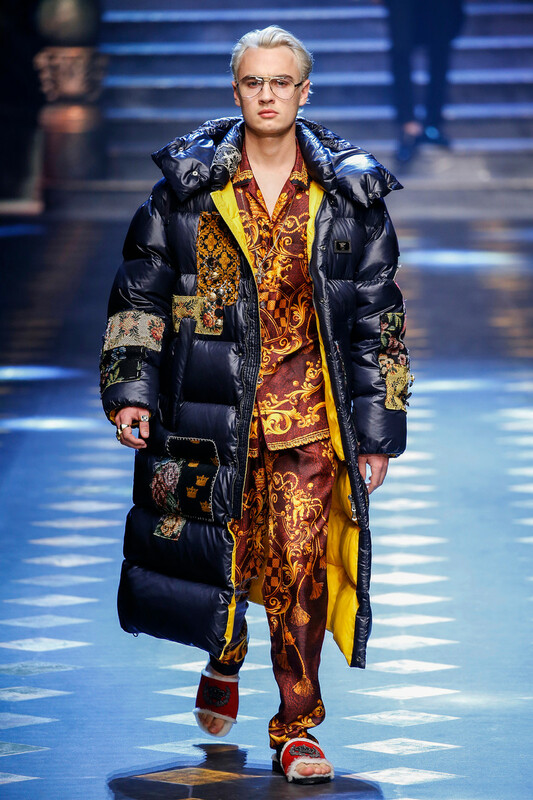 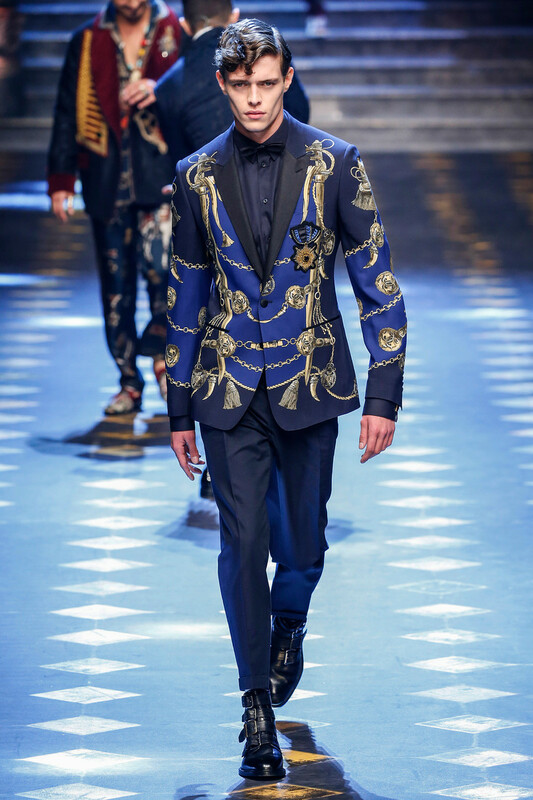 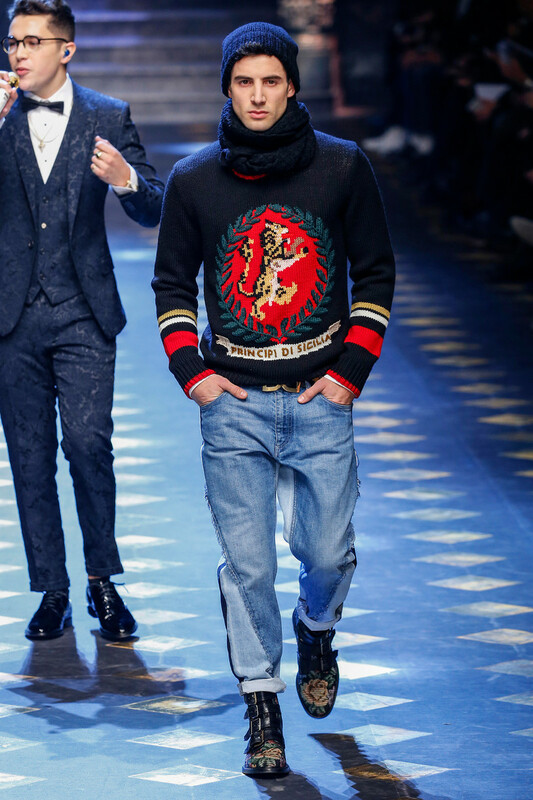 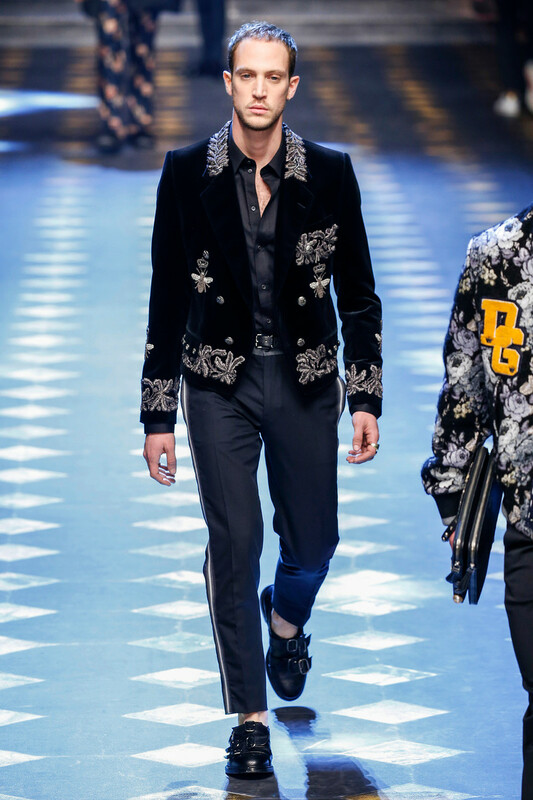 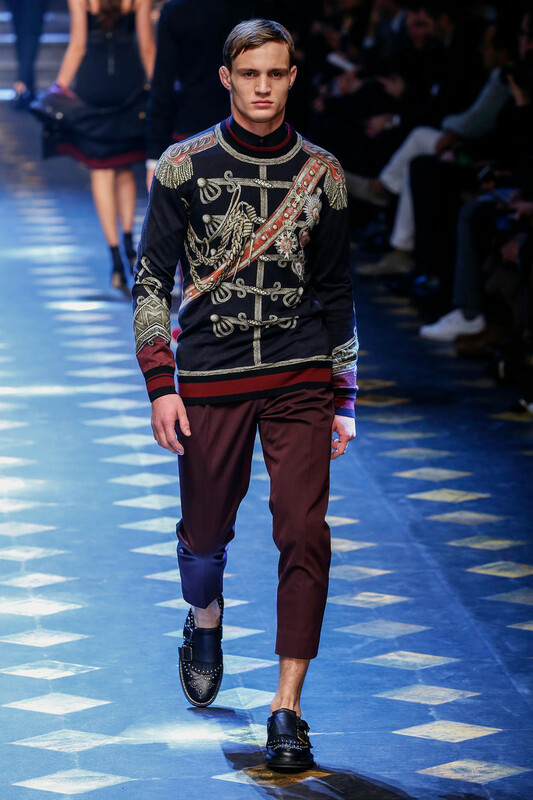 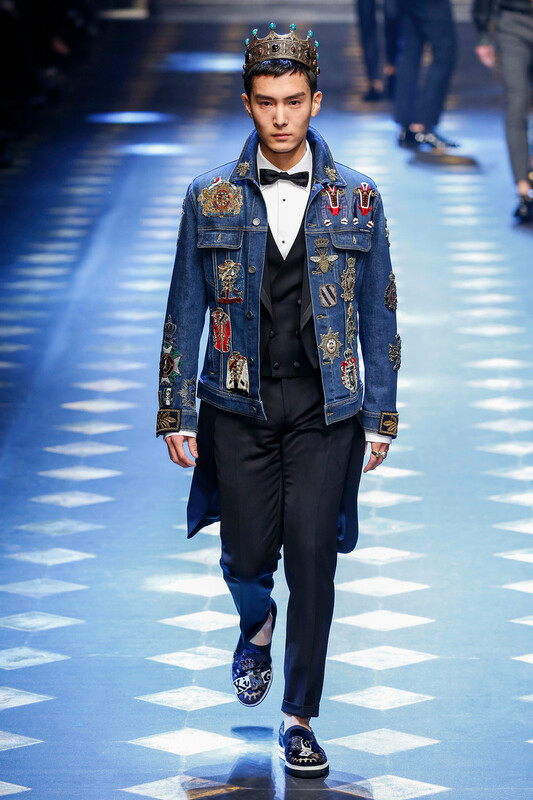 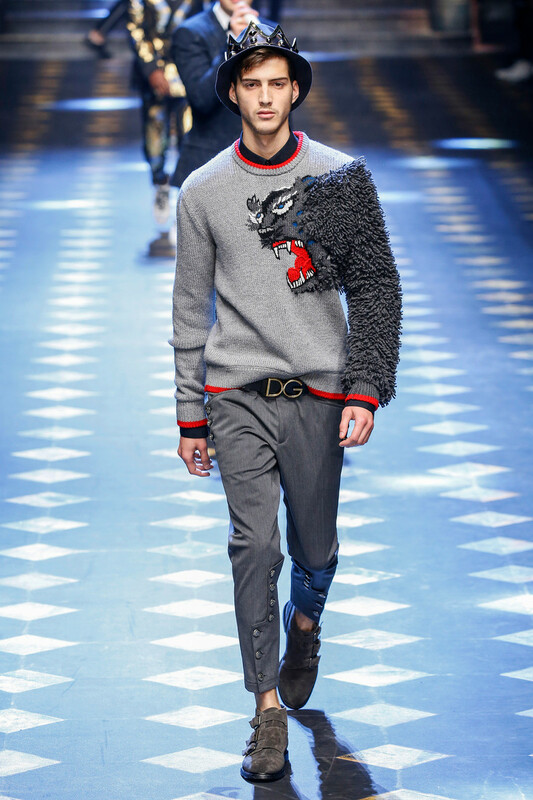 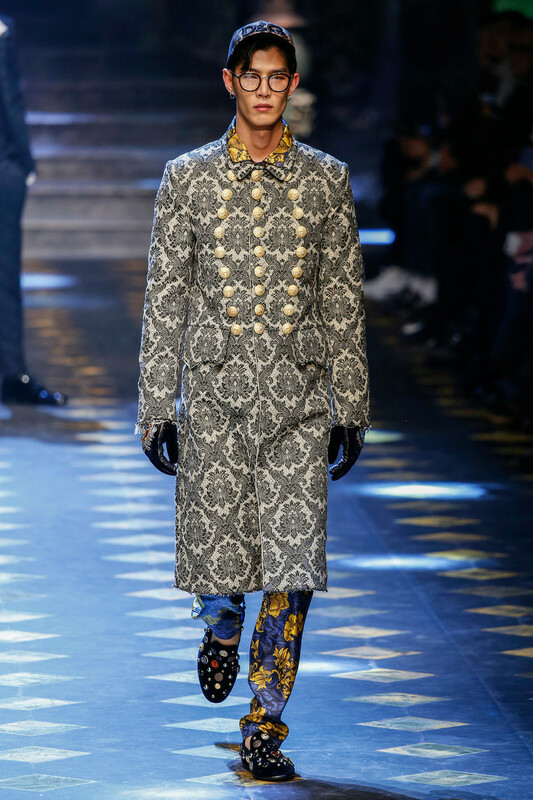 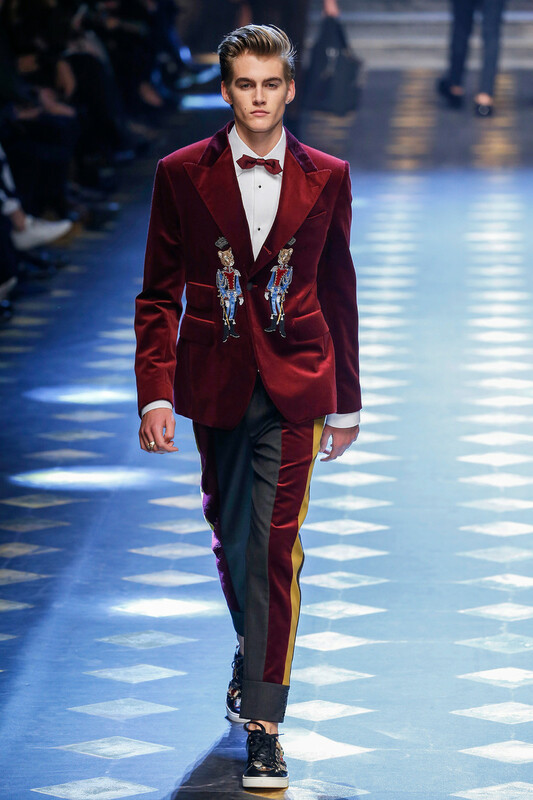 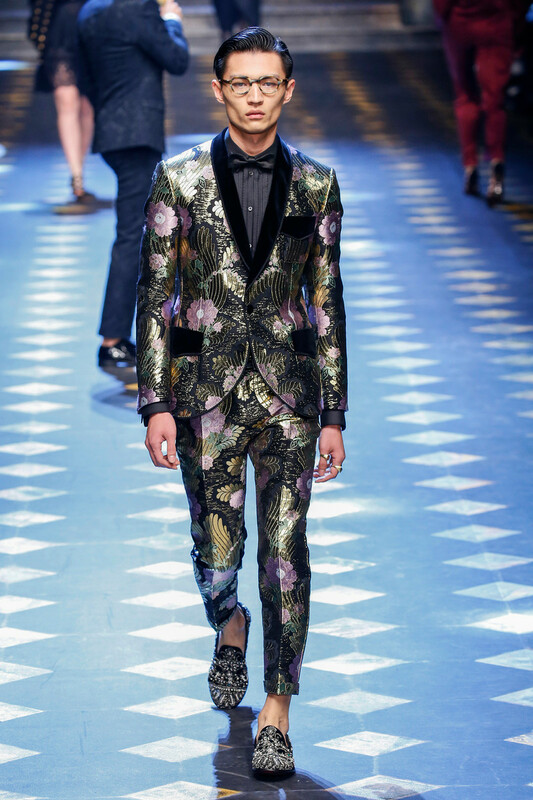 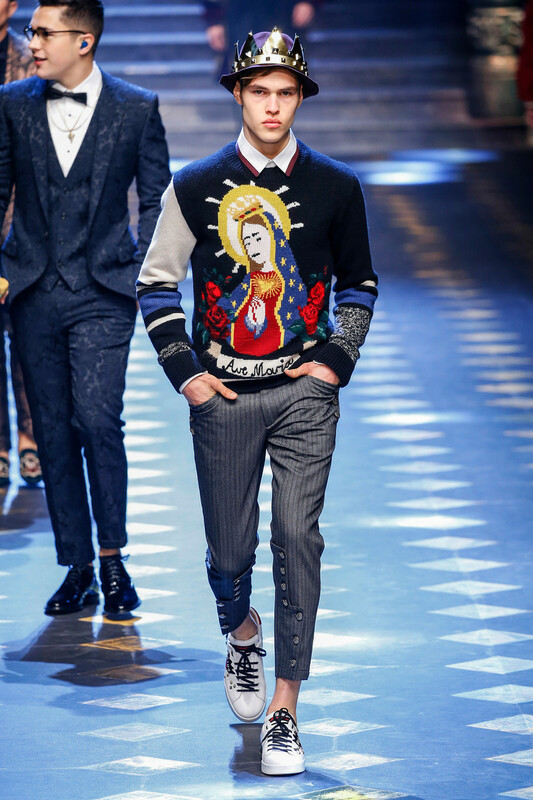 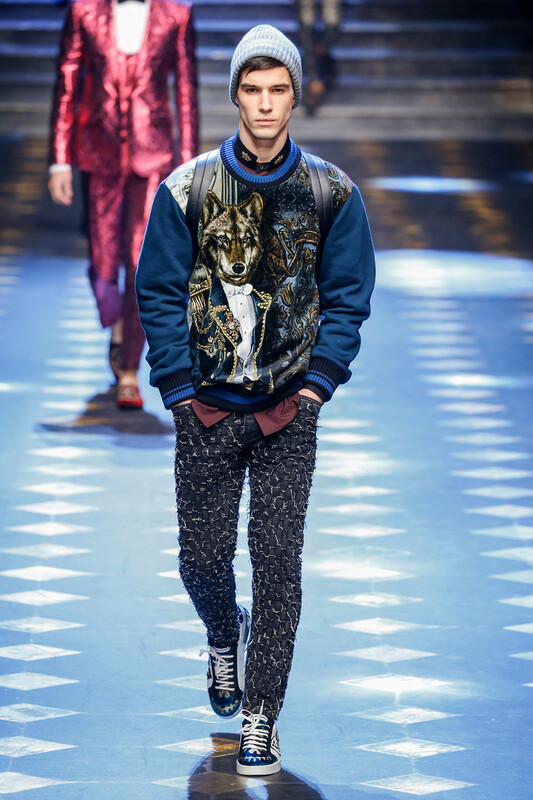 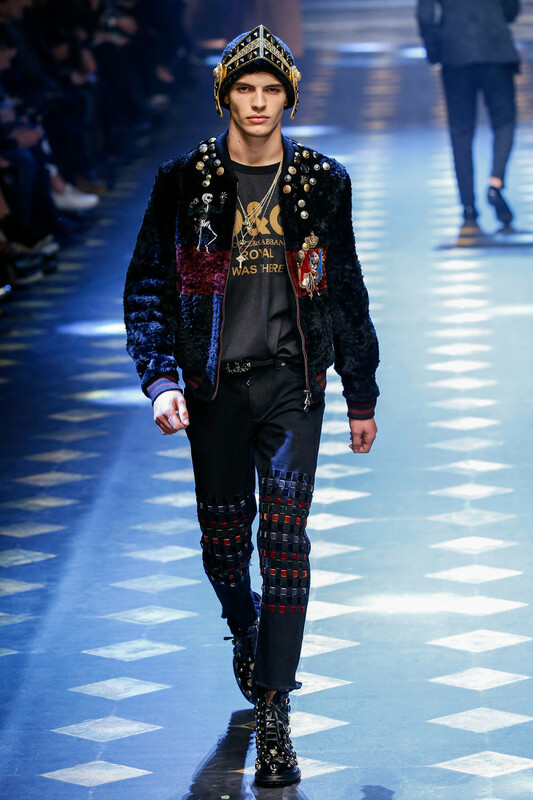 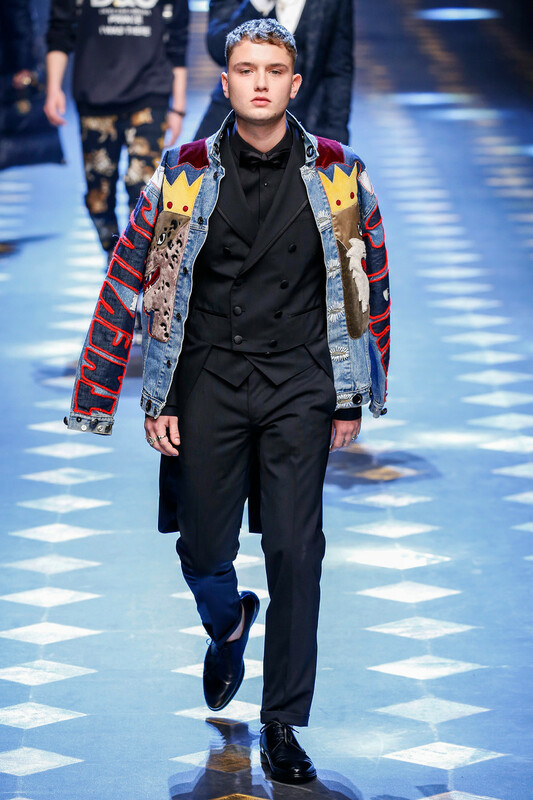 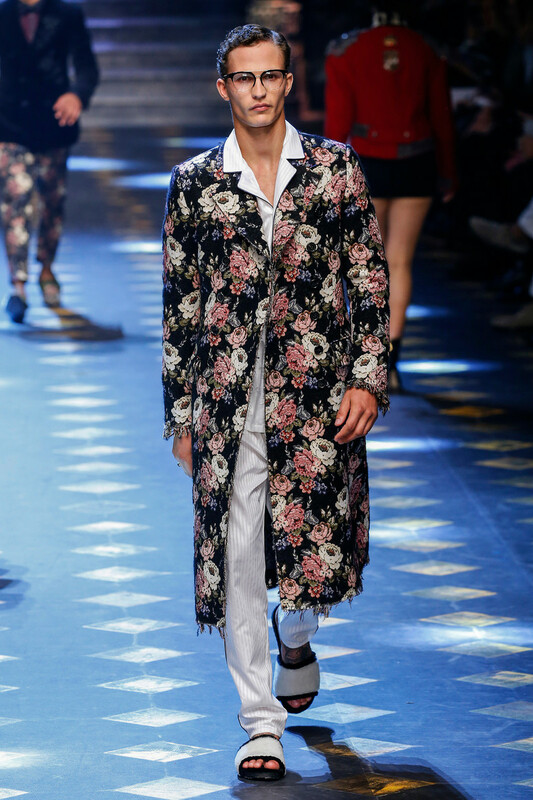 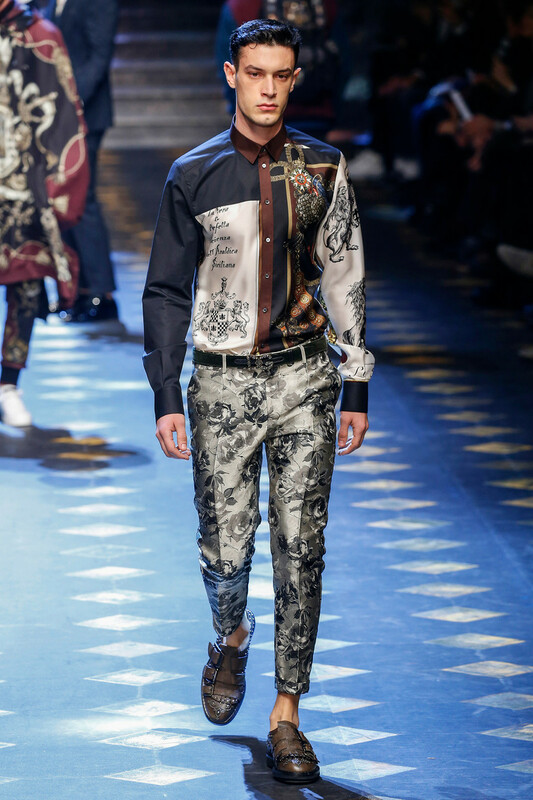 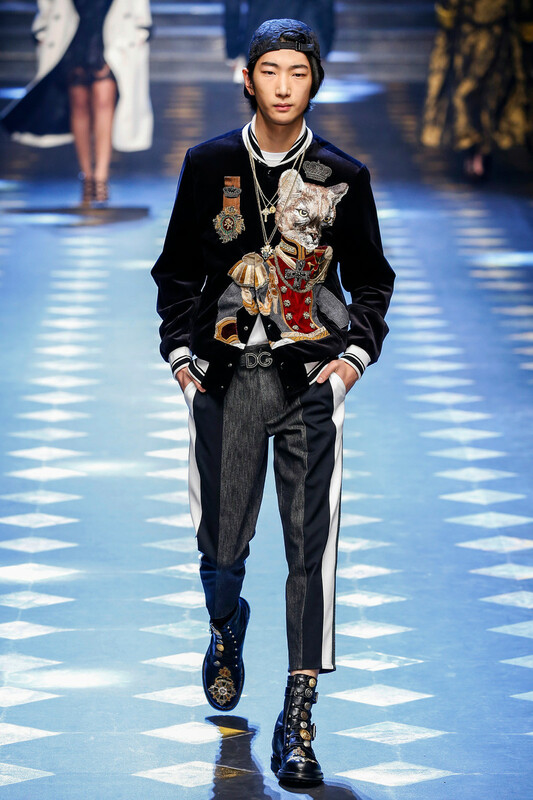 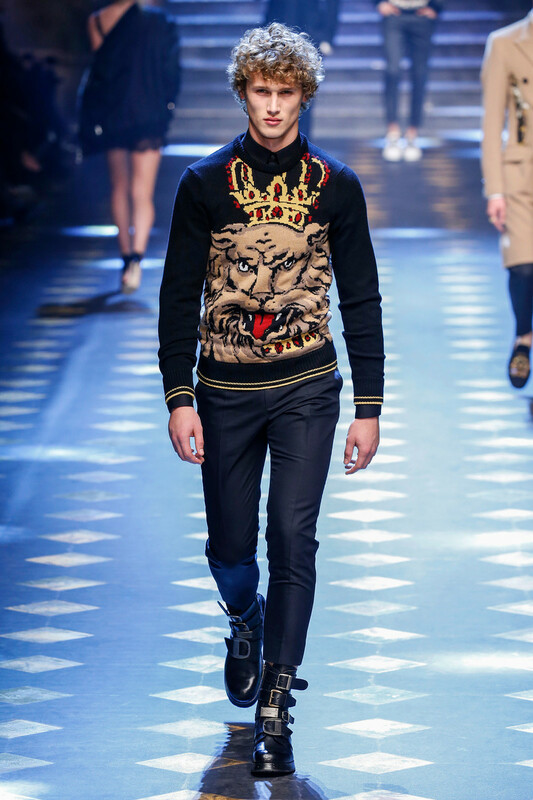 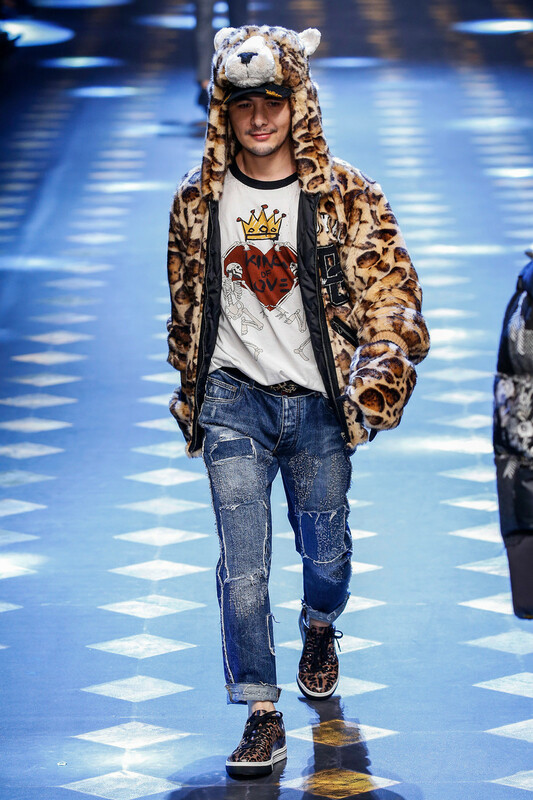 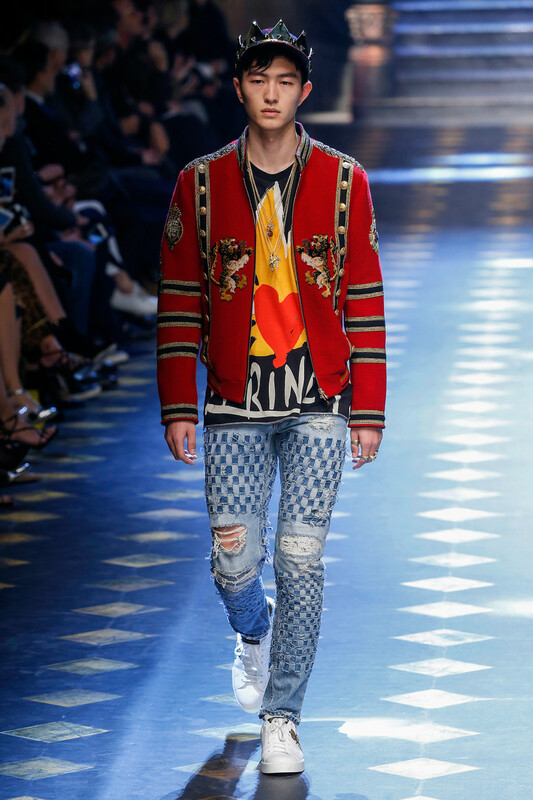 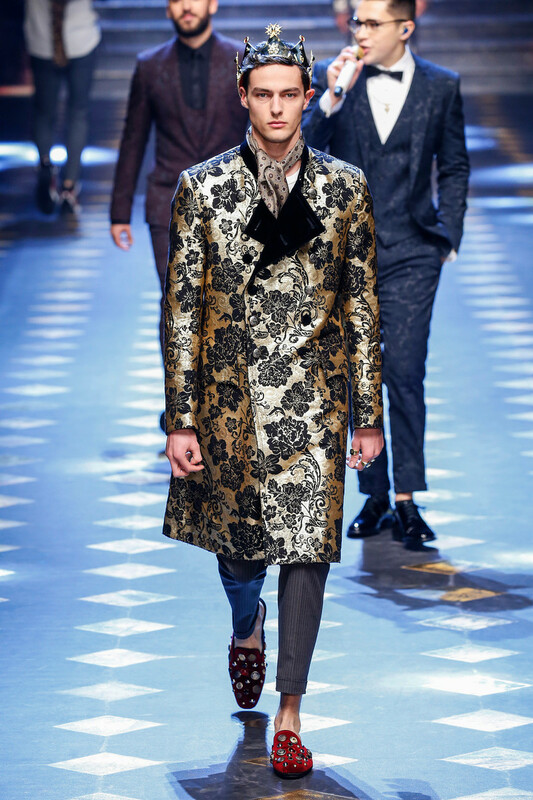 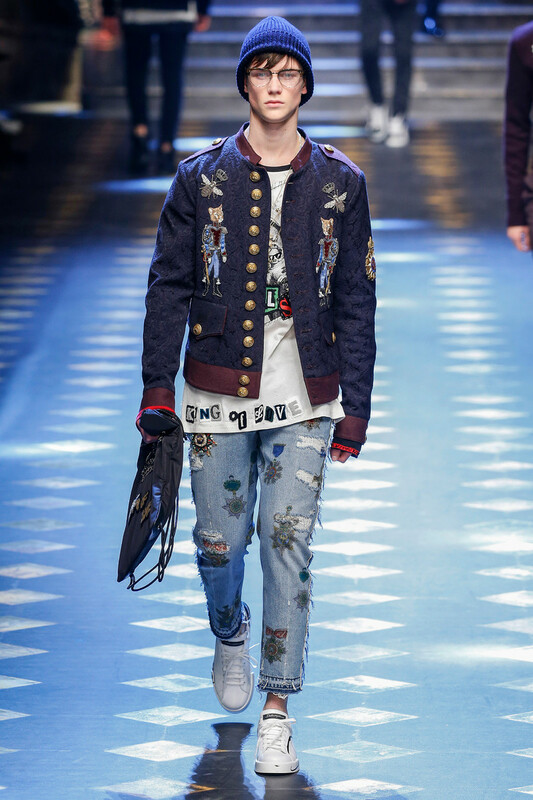 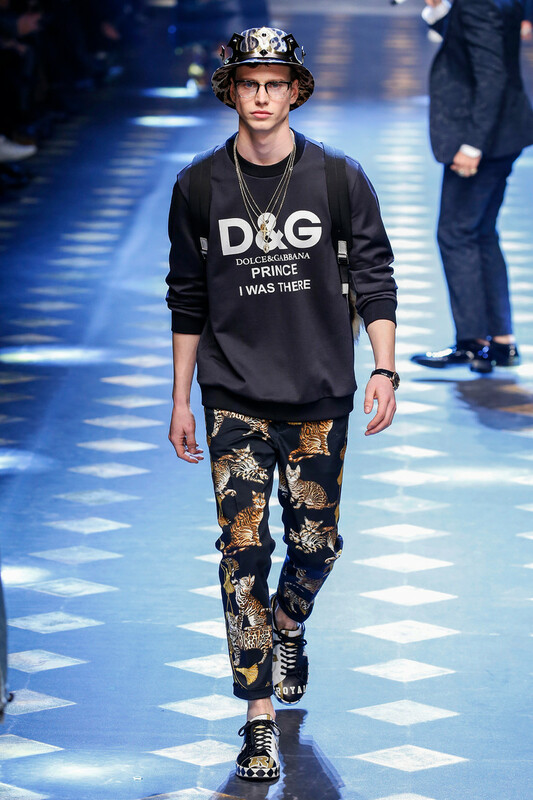 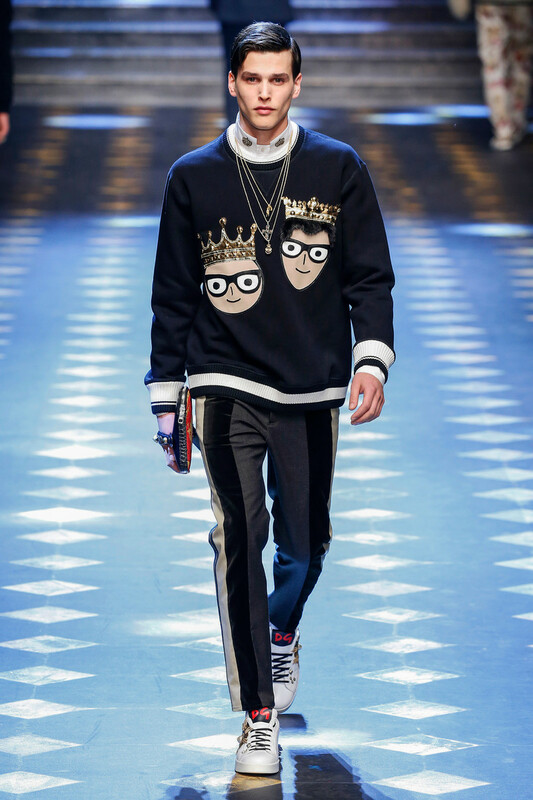 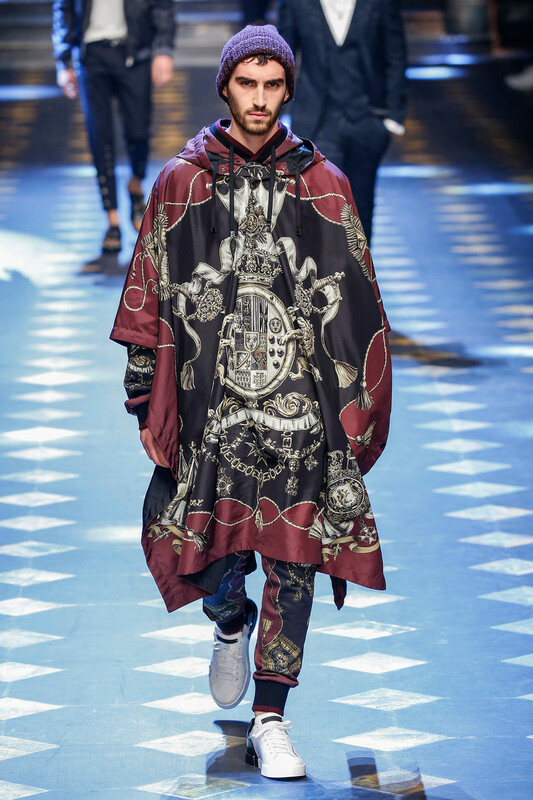 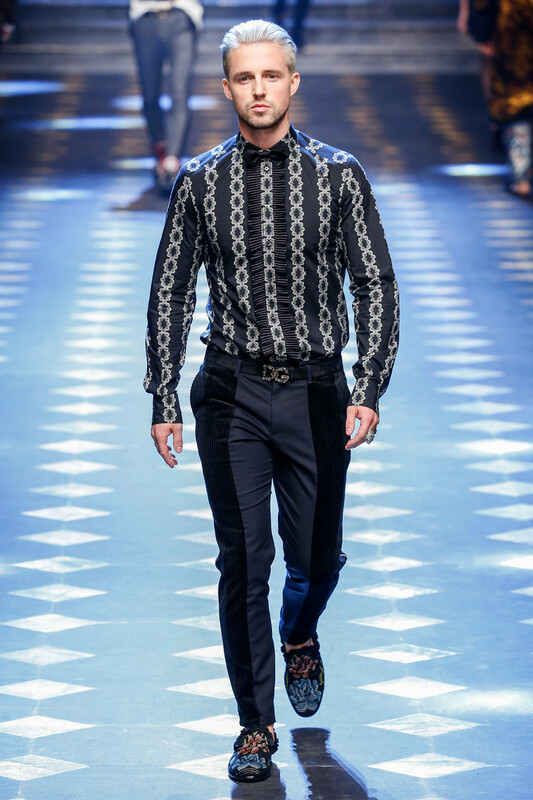 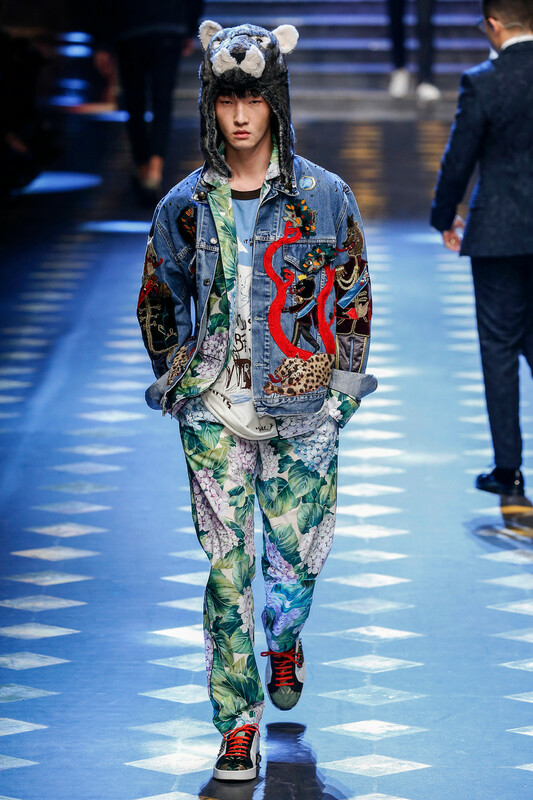 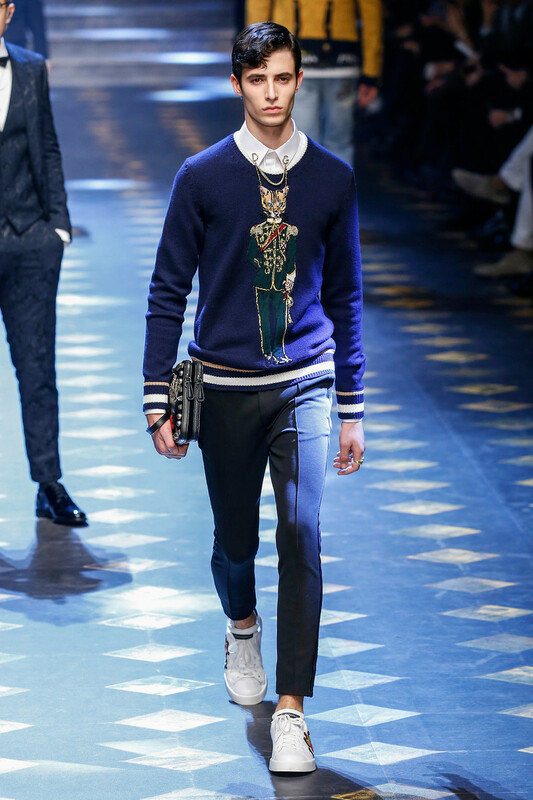 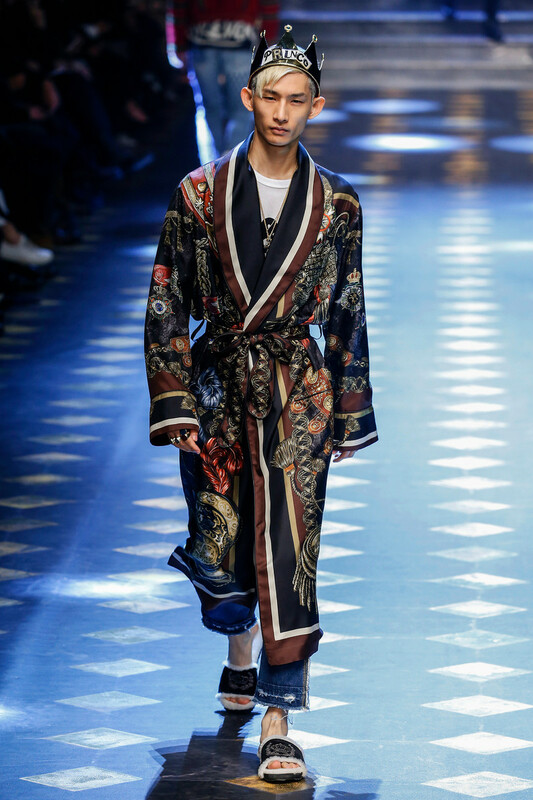 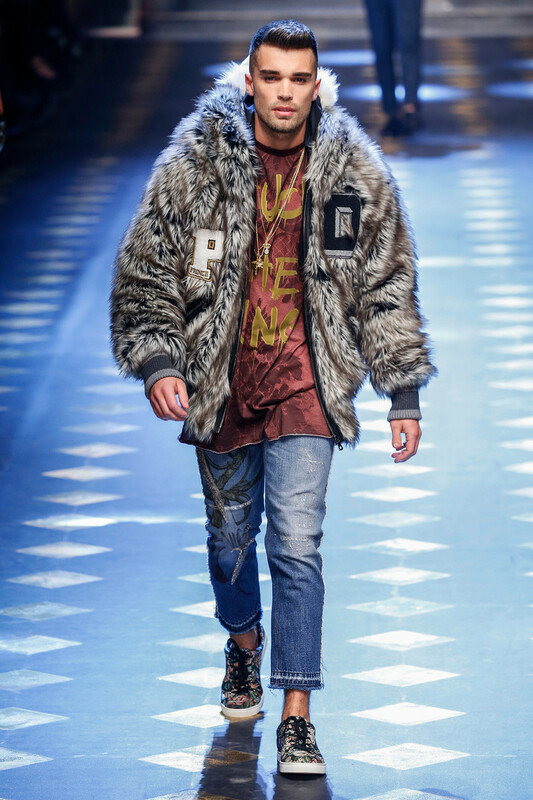 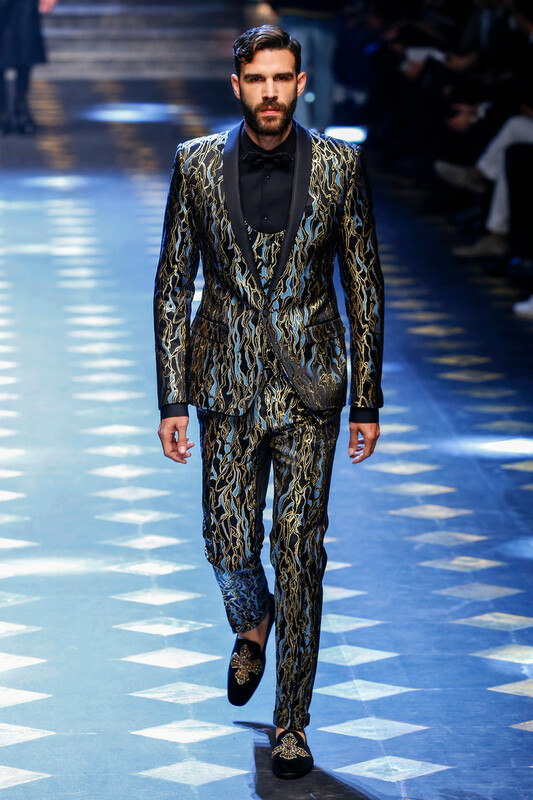 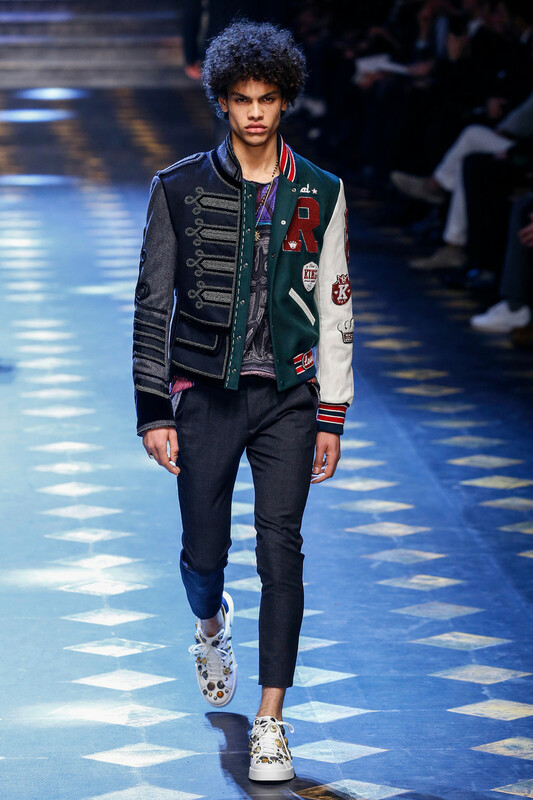 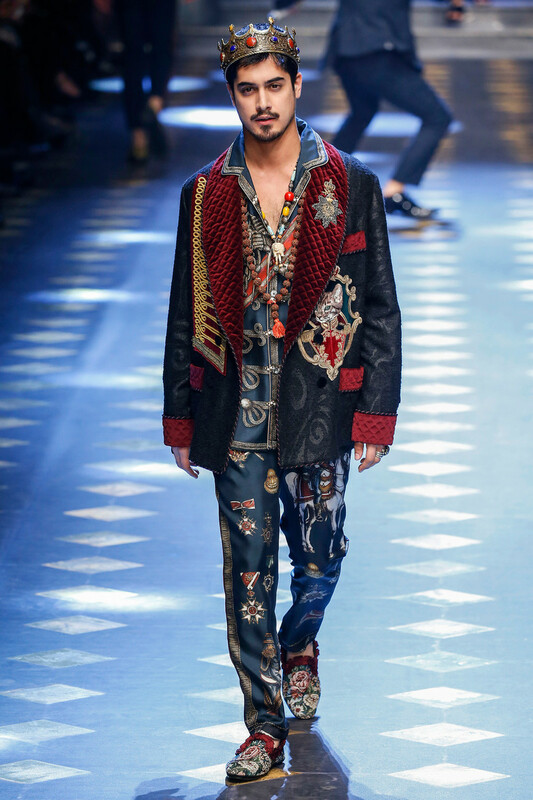 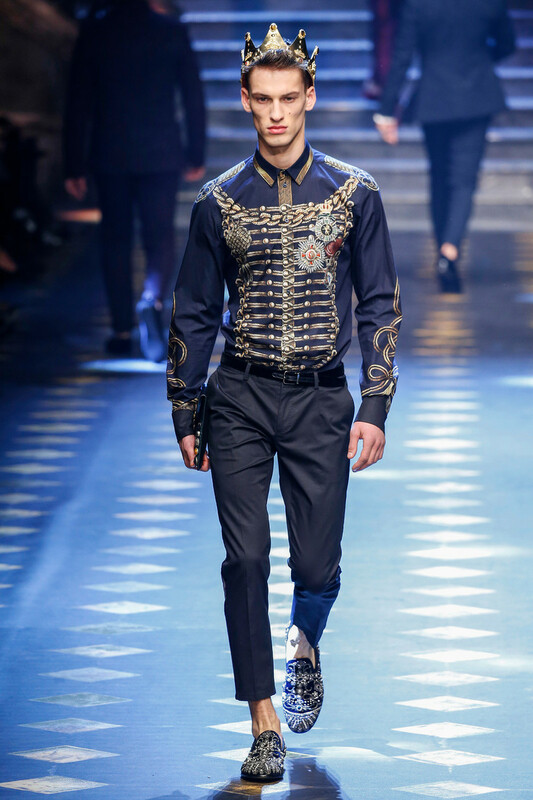 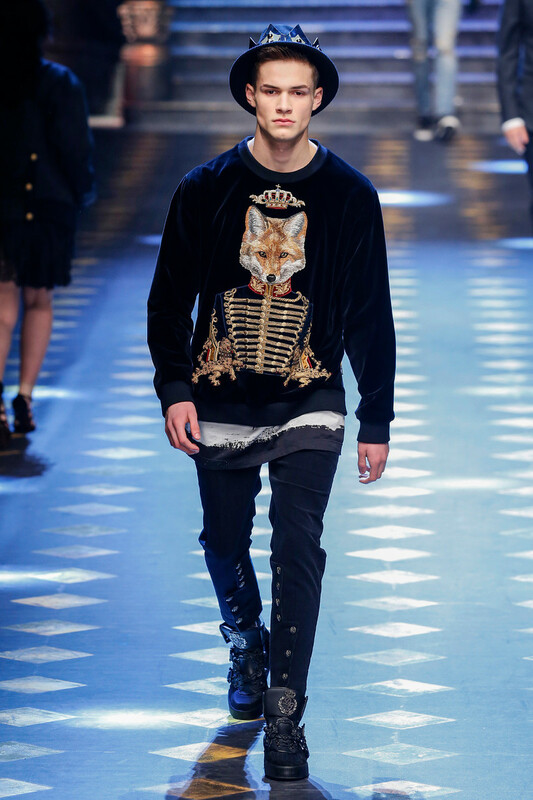 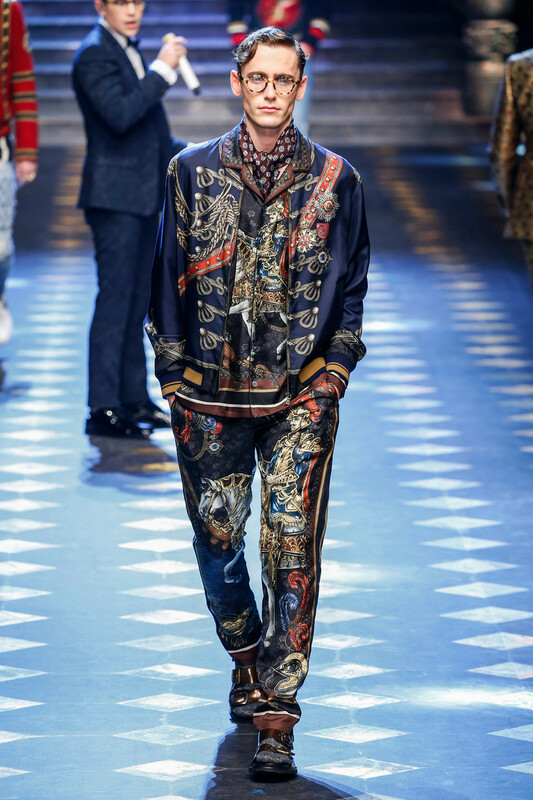 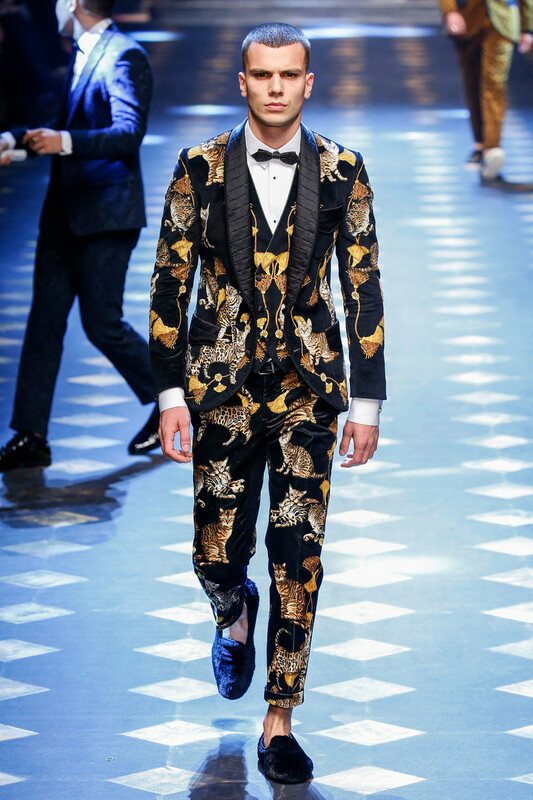 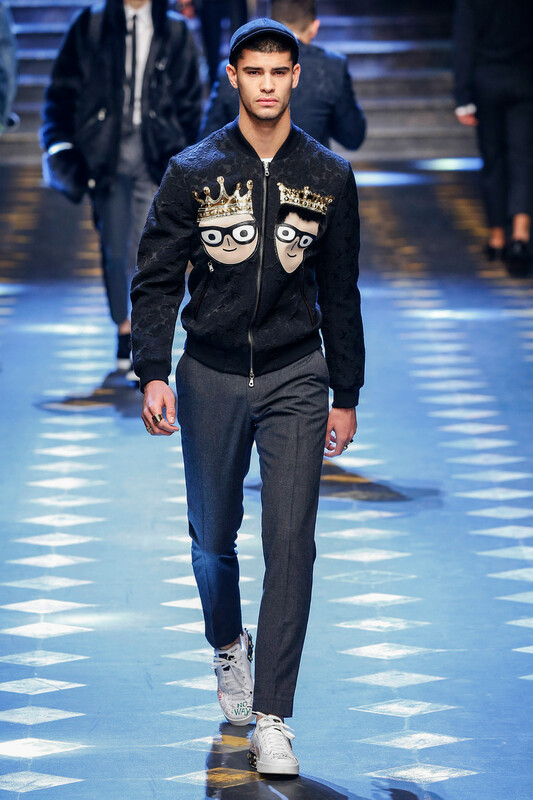 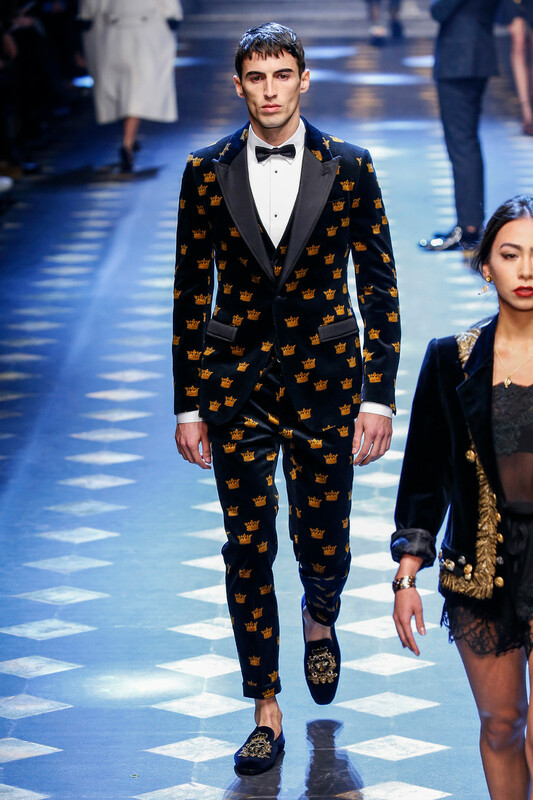 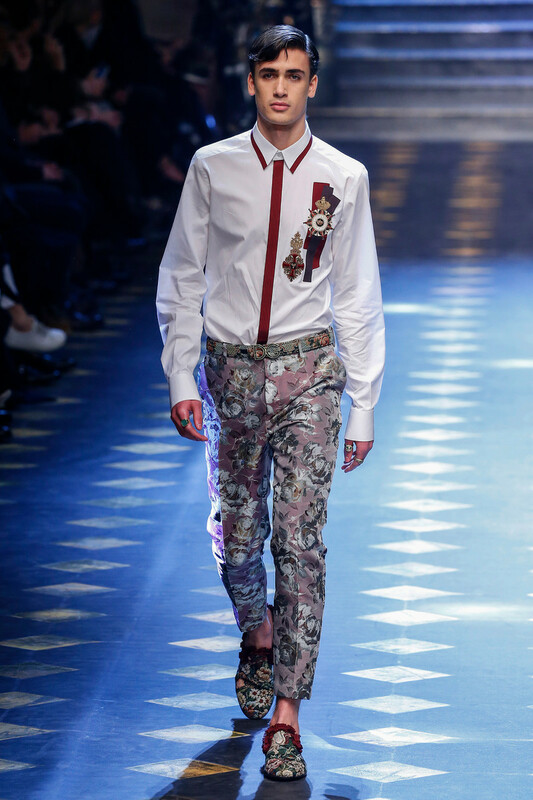 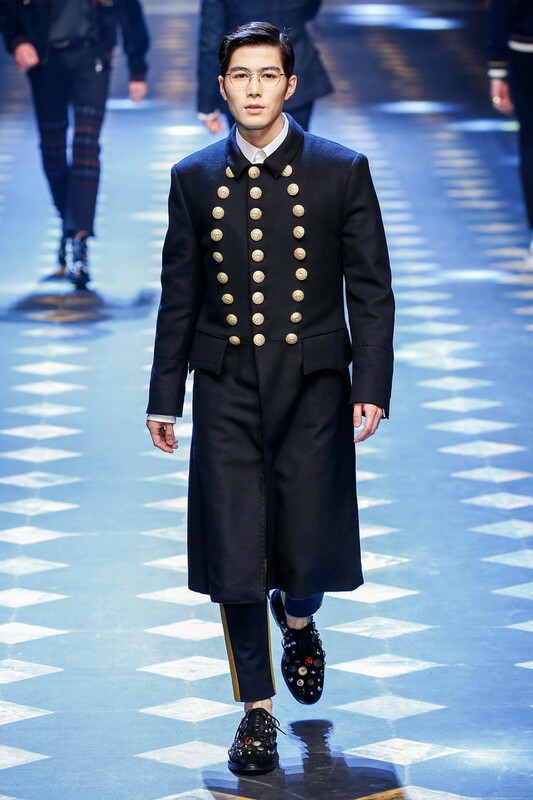 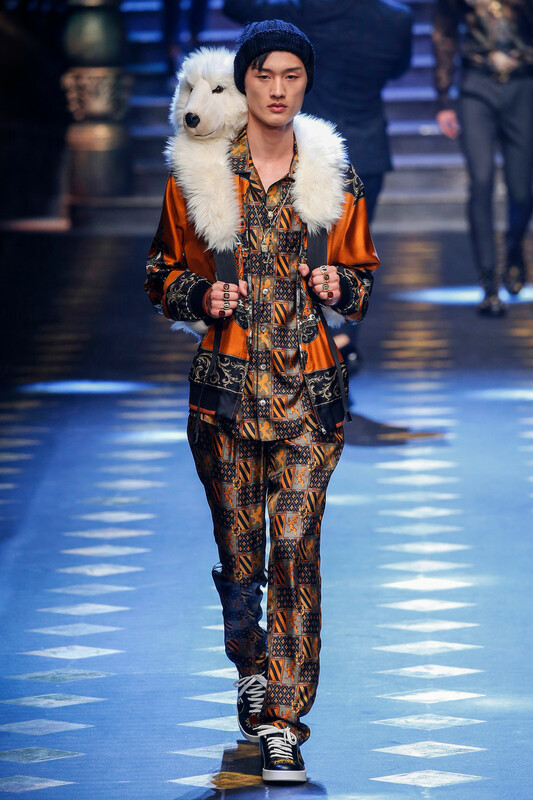 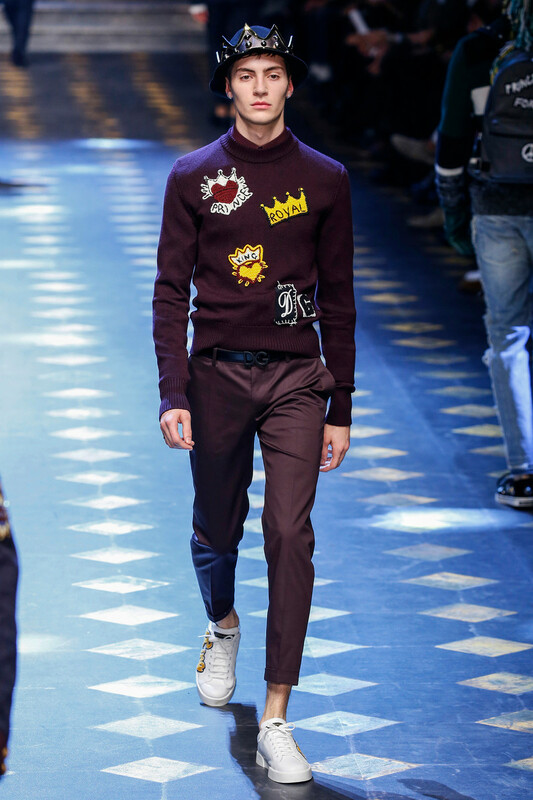 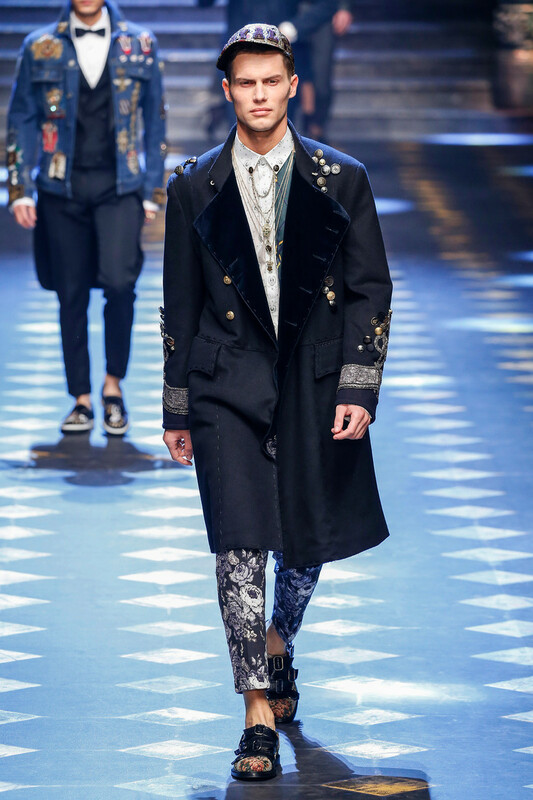 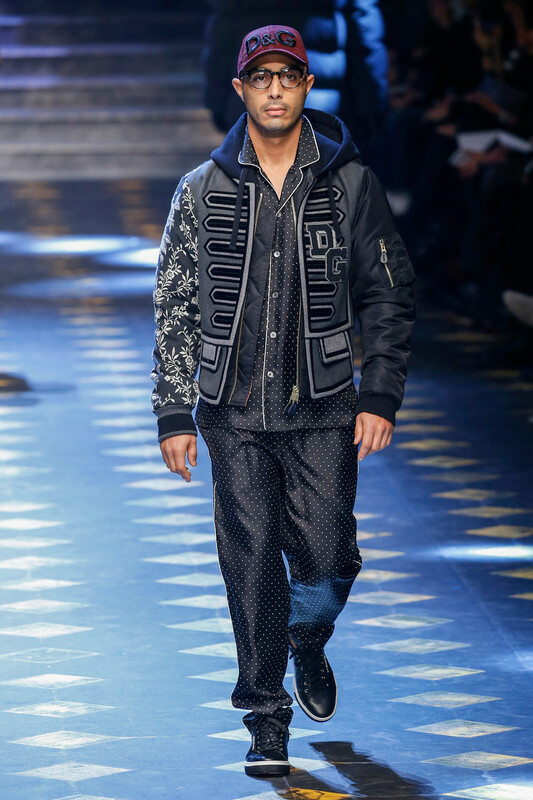 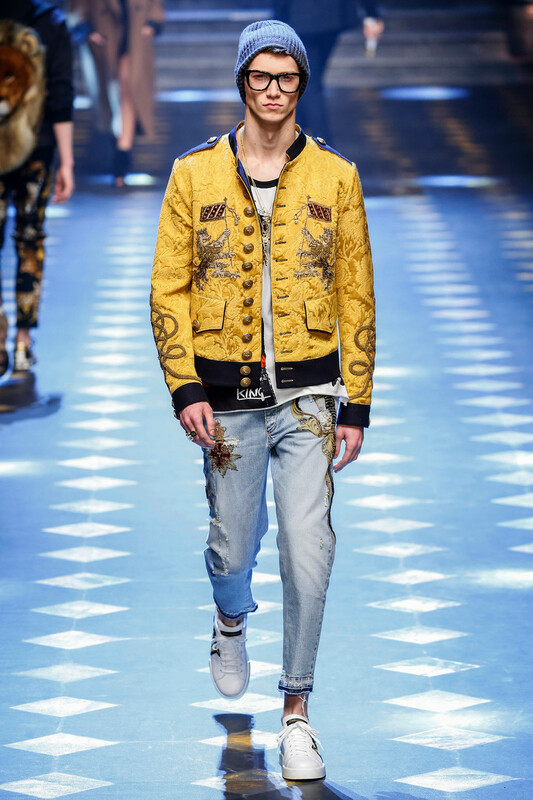 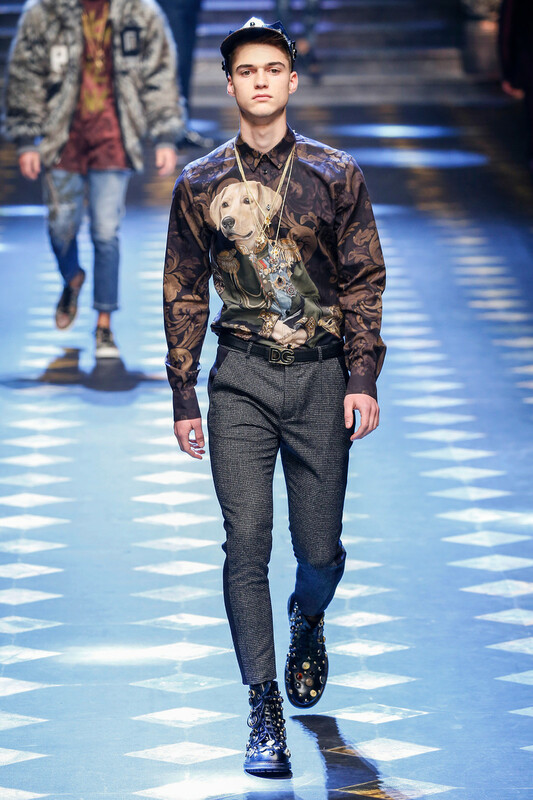 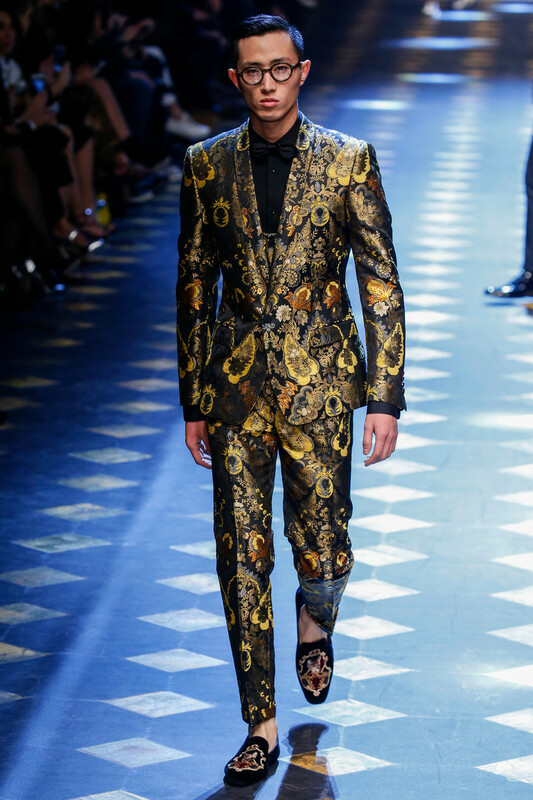 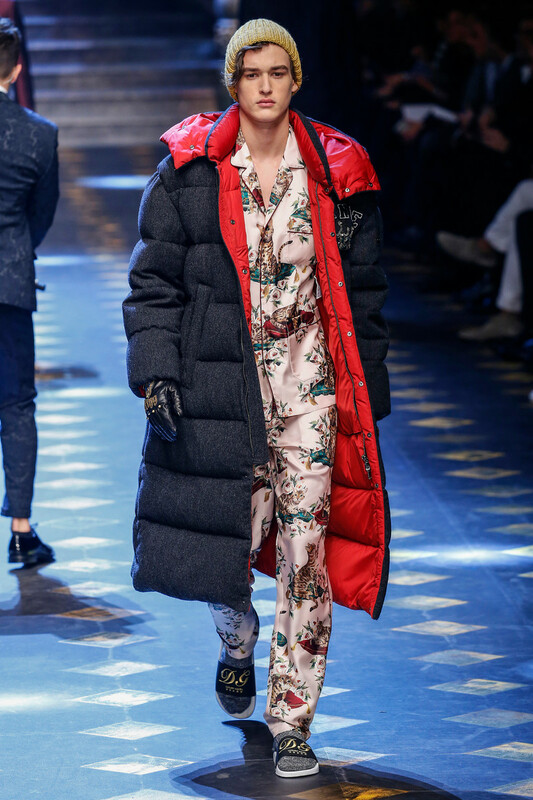 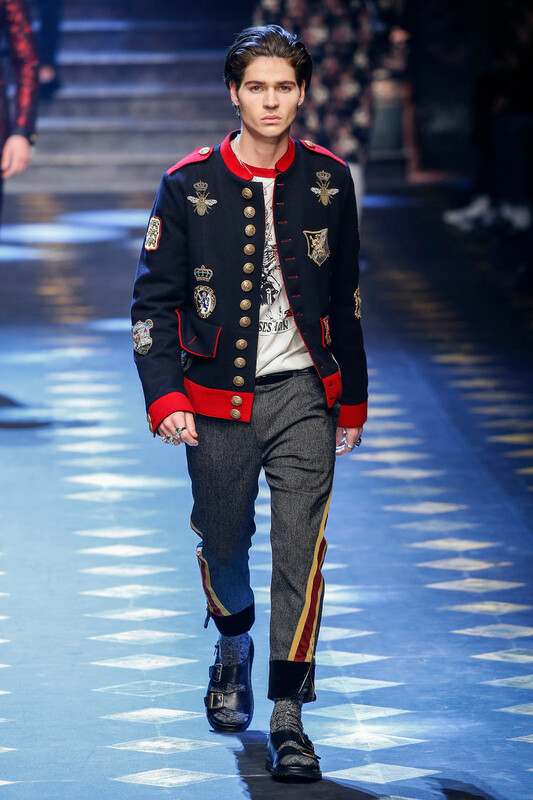 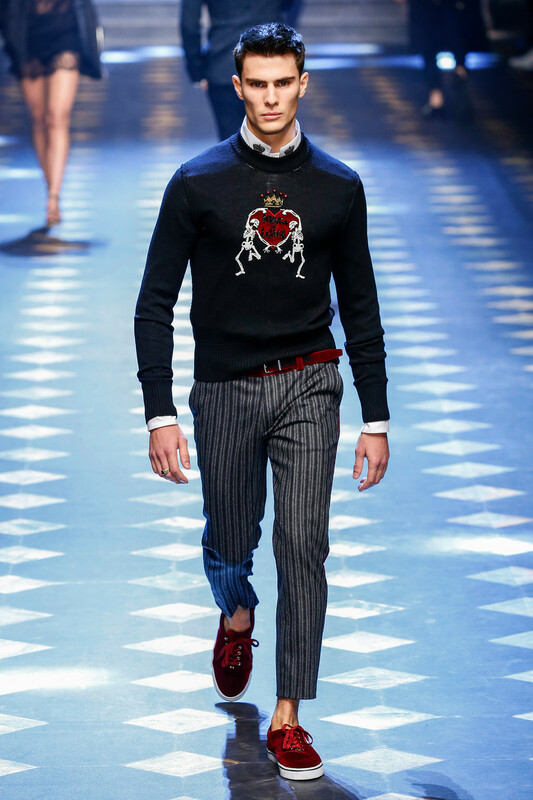 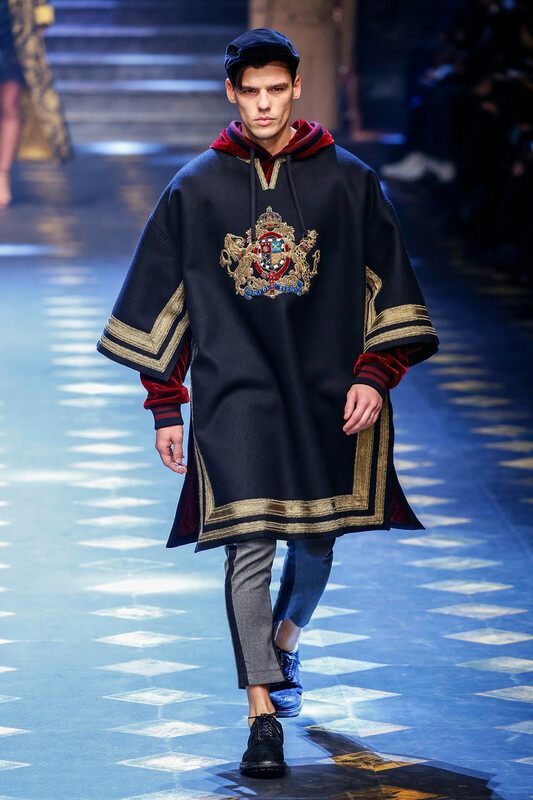 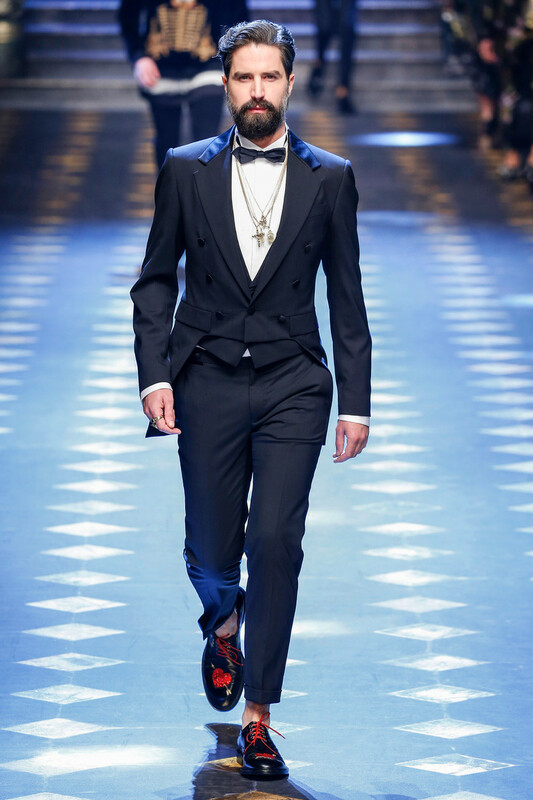 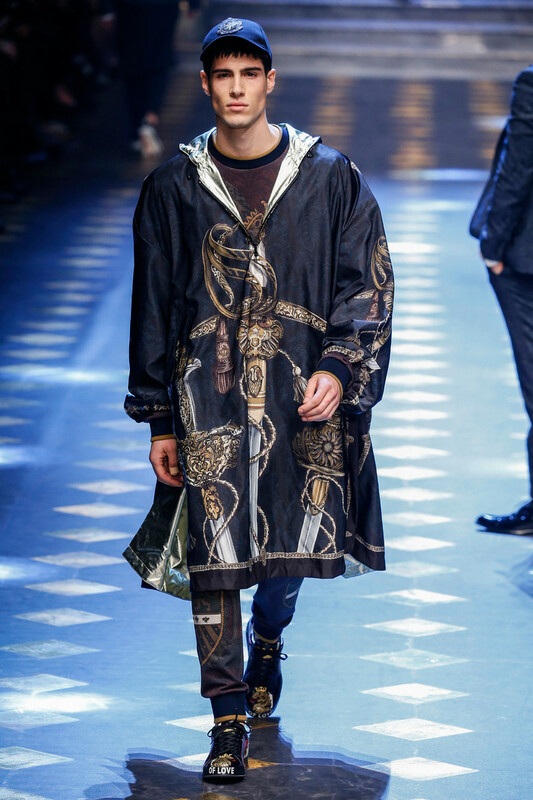 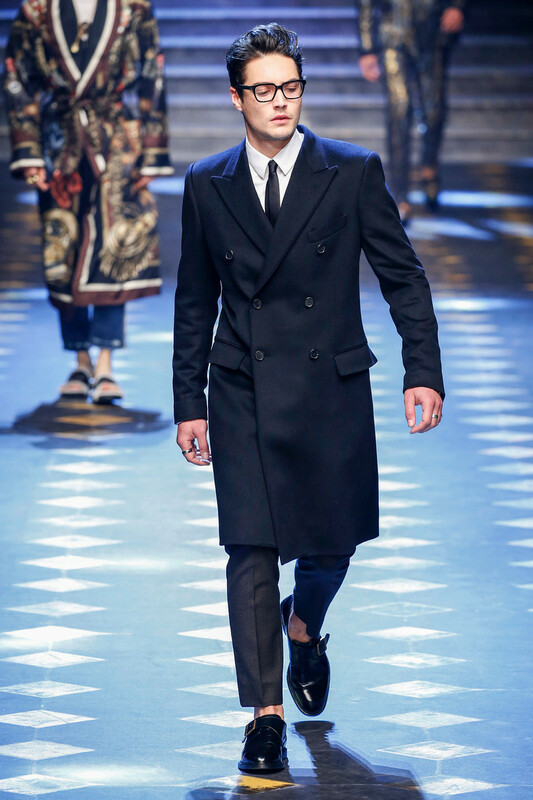 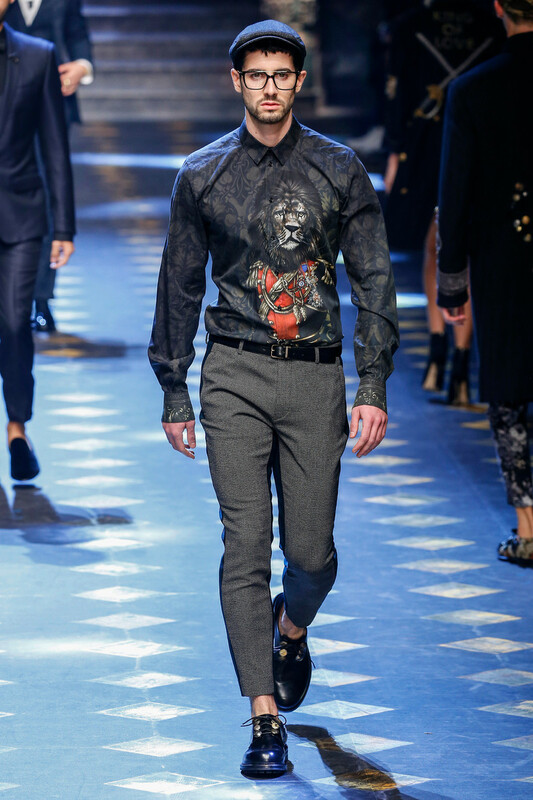 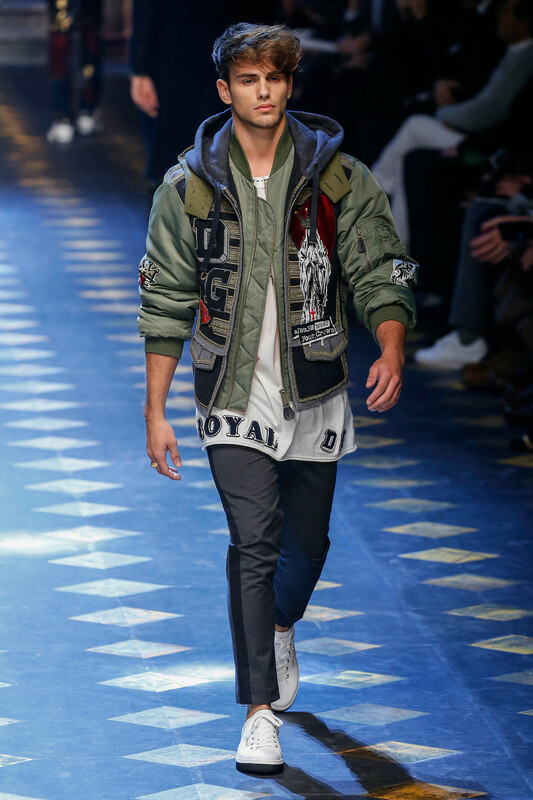 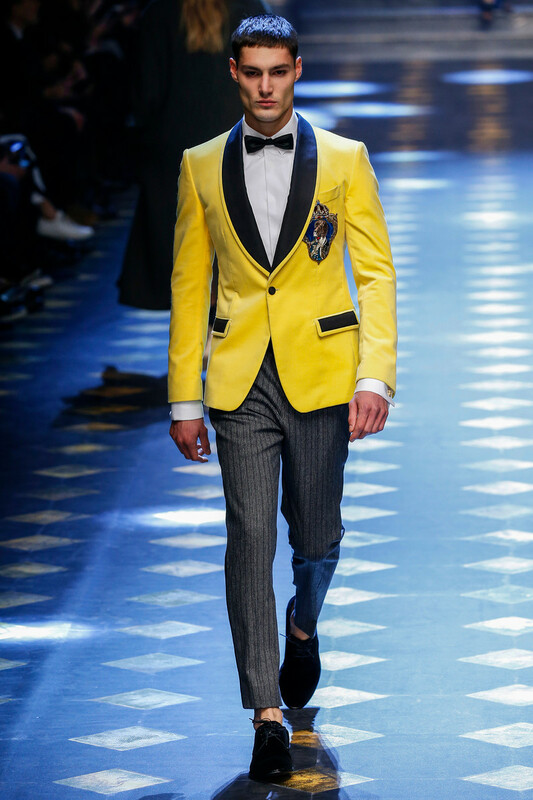 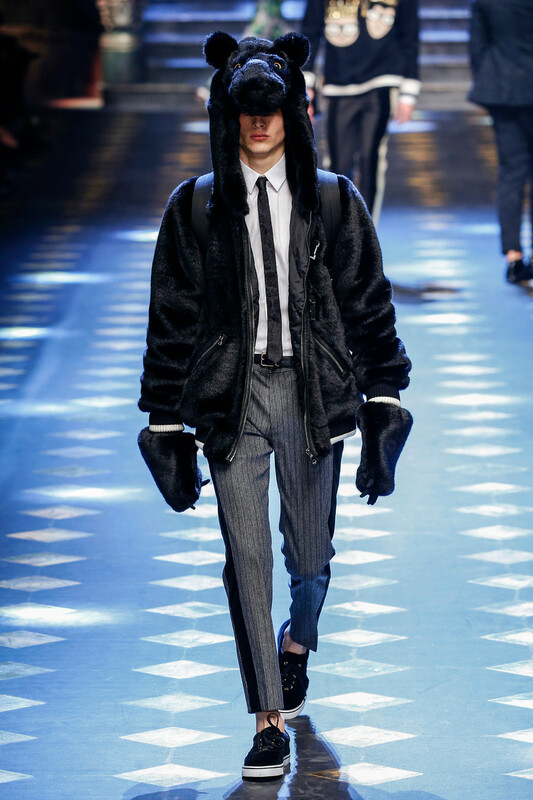 For Fall ’17, Dolce & Gabbana took the idea of inviting YouTube and Instagram influencers from the millennial generation to their show, started by them last season, by inviting them to be the show. 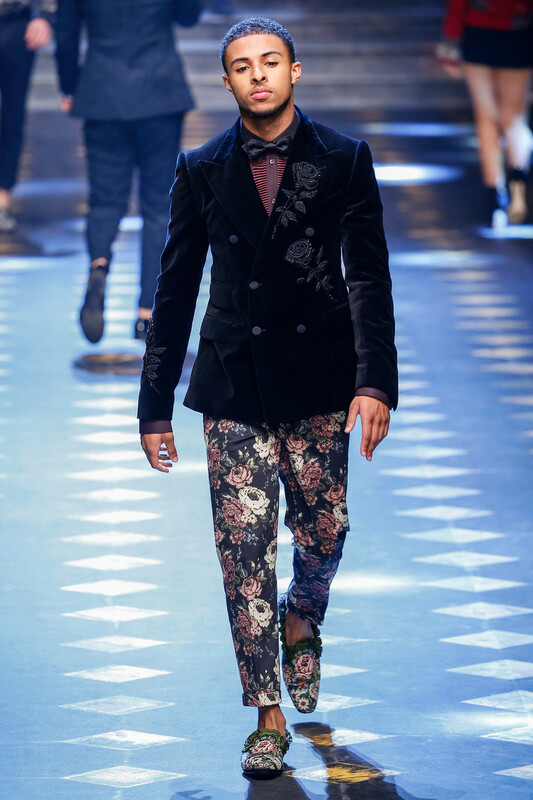 But they weren’t only chasing models with fat follower portfolios; there were children of clients at the Alta Moda couture line in the mix, too. 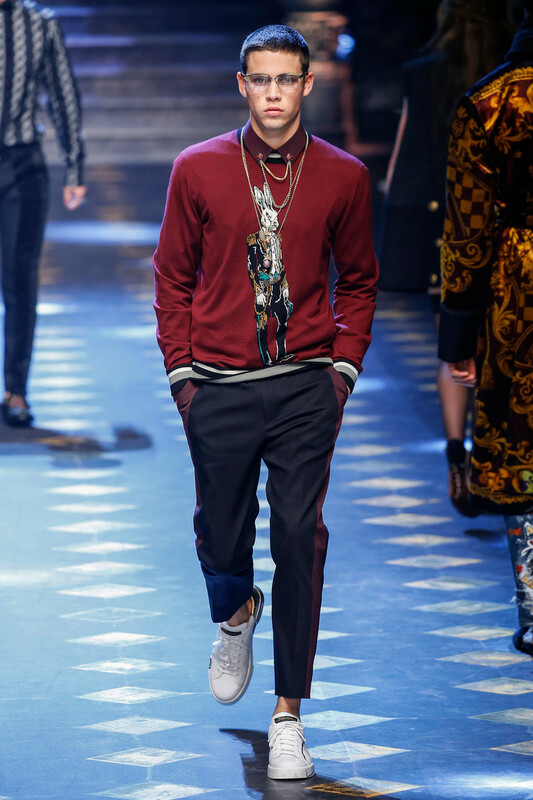 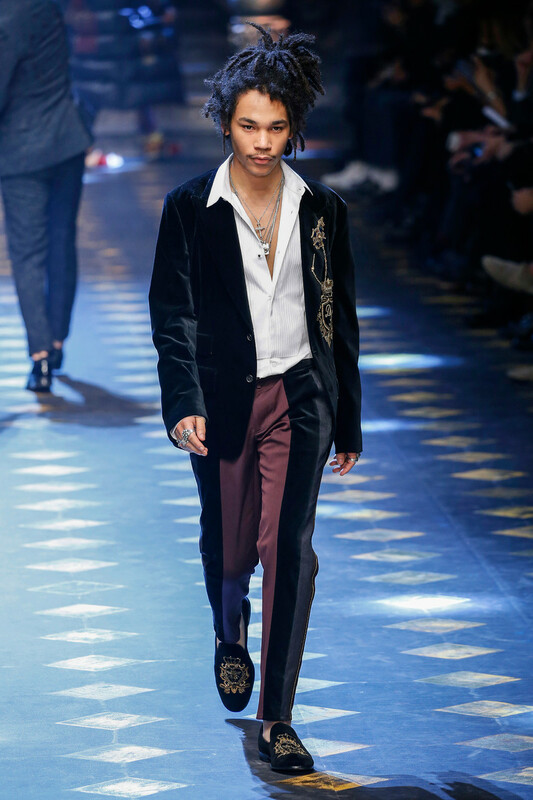 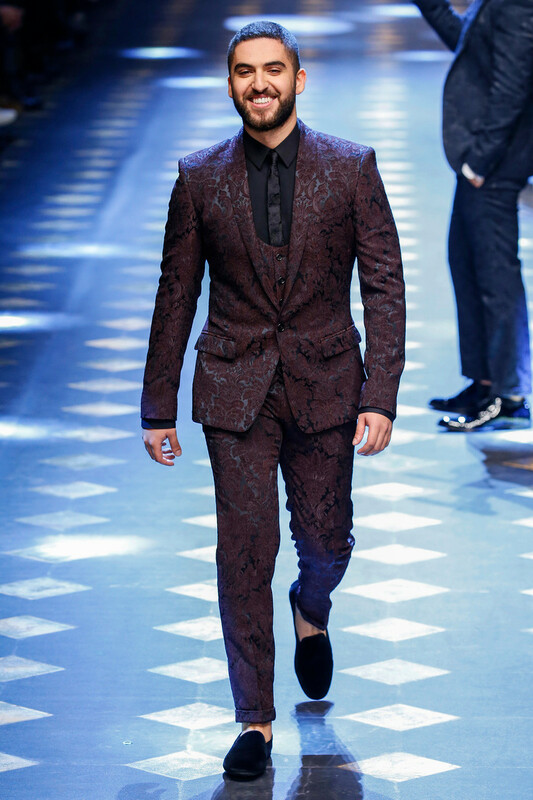 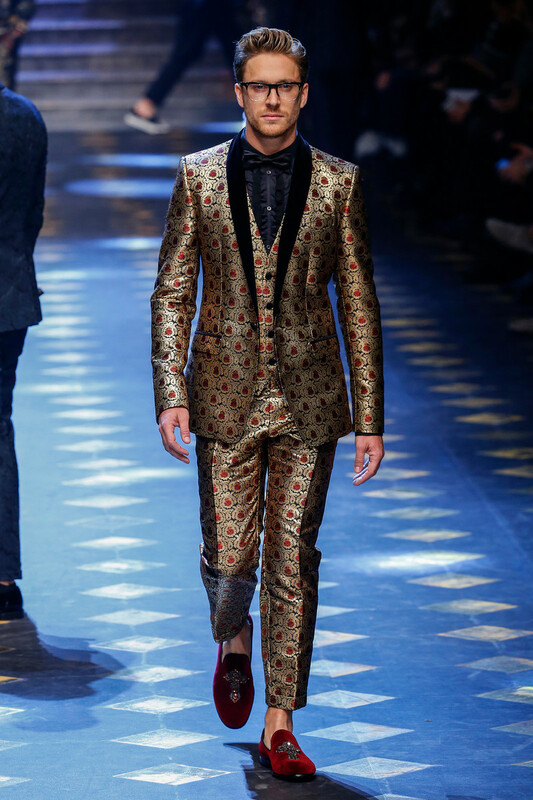 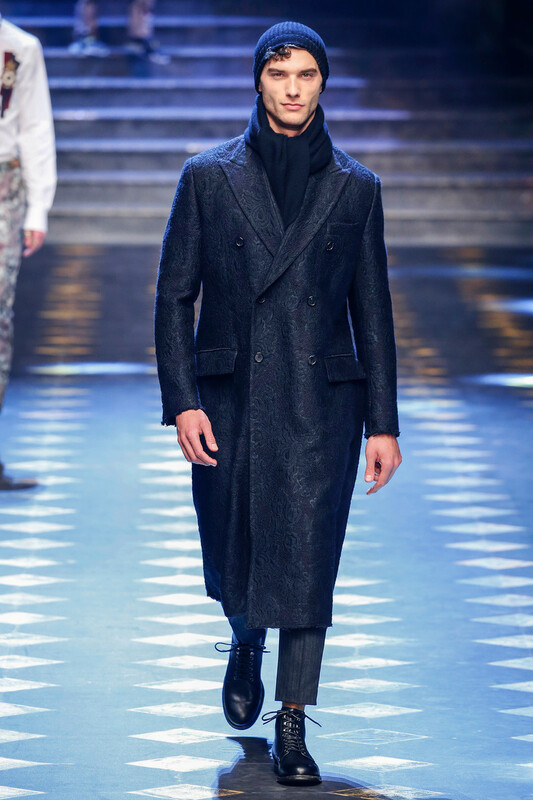 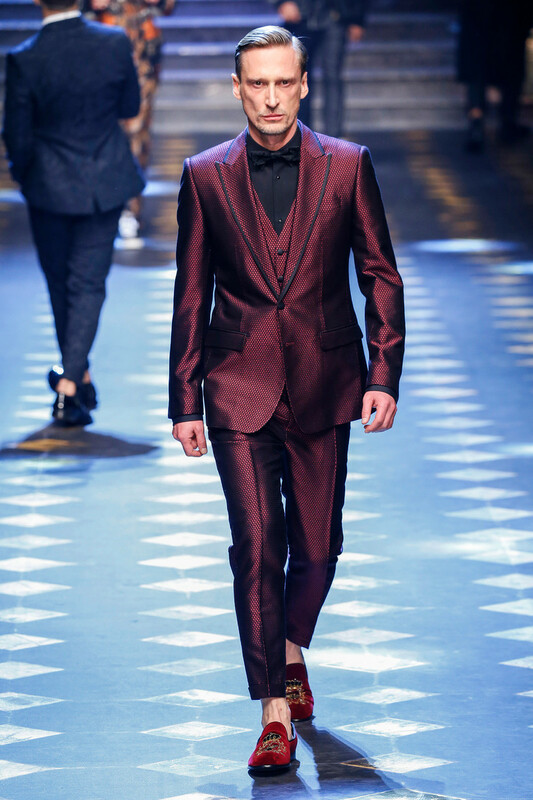 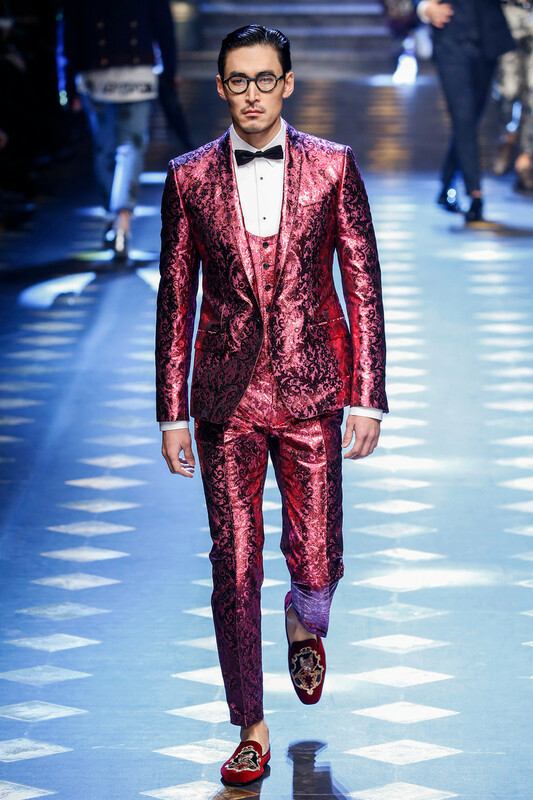 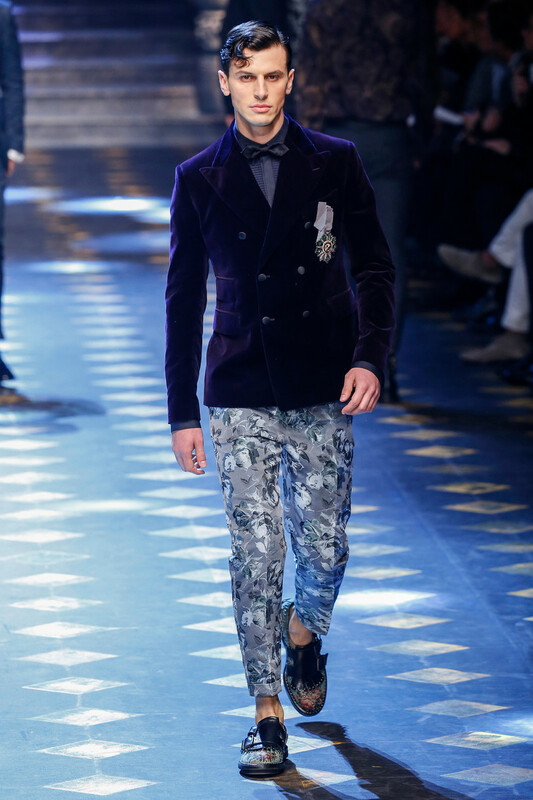 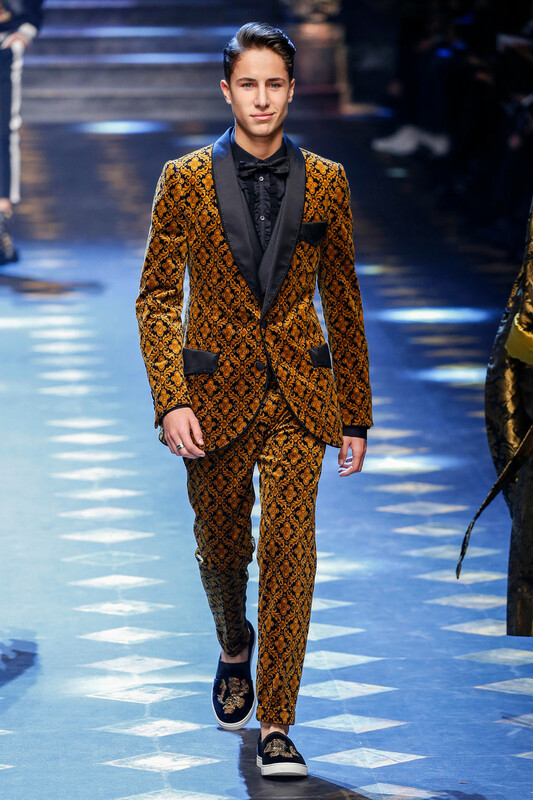 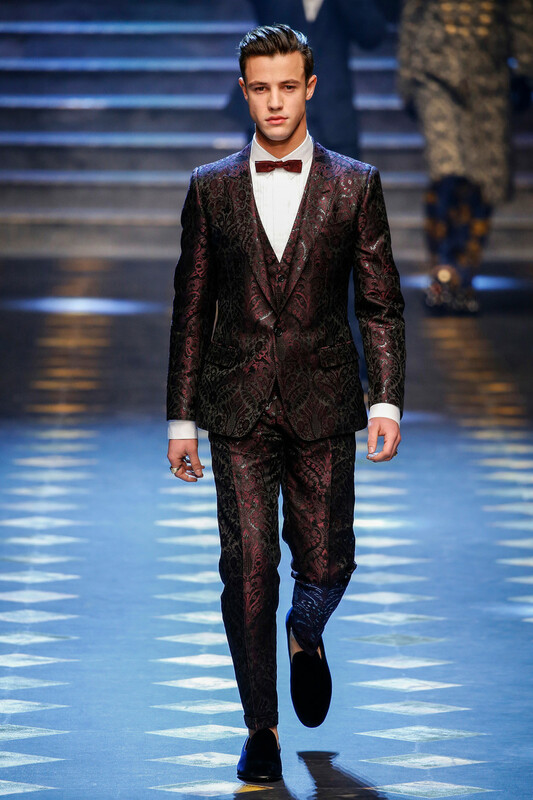 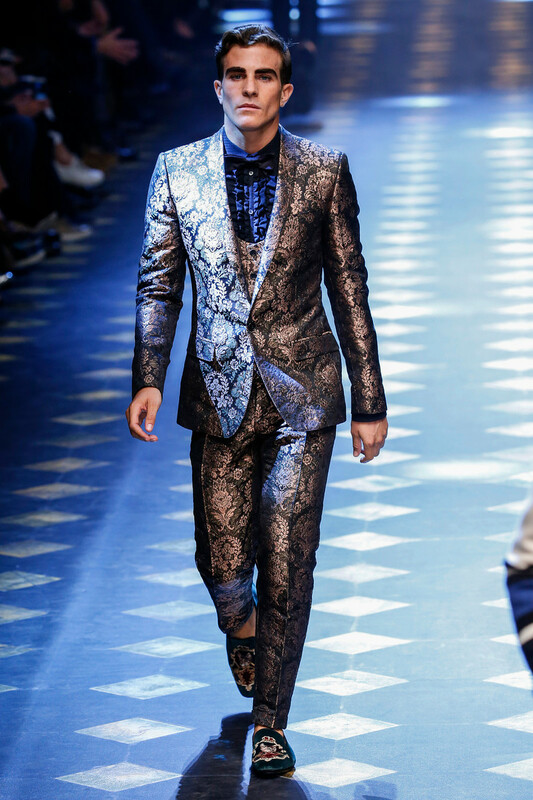 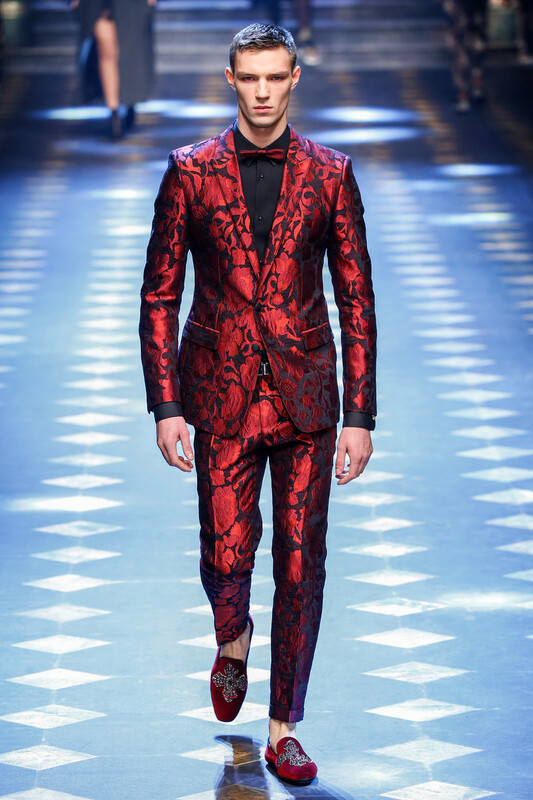 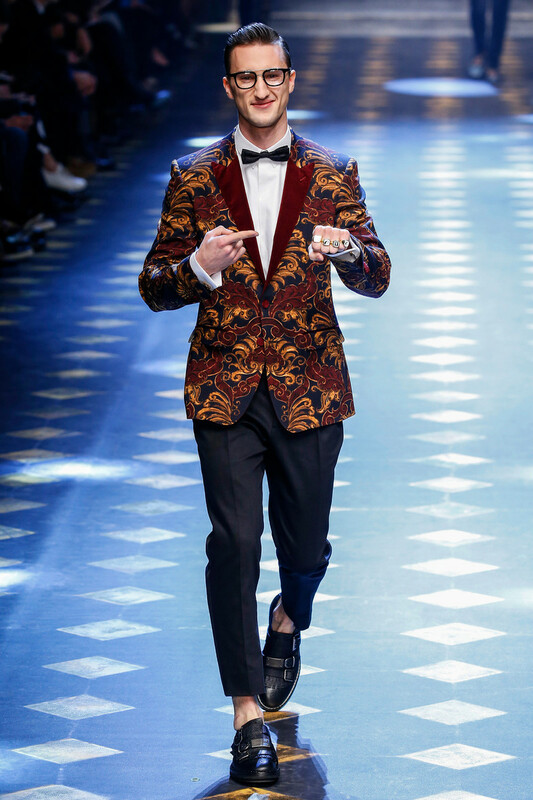 Cameron Dallas, who, as usual, brought several hundred hopelessly devoted young female fans in his wake, opened the show in a black and burgundy suit as Austin Mahone, also suited, wielded a golden microphone on the runway. 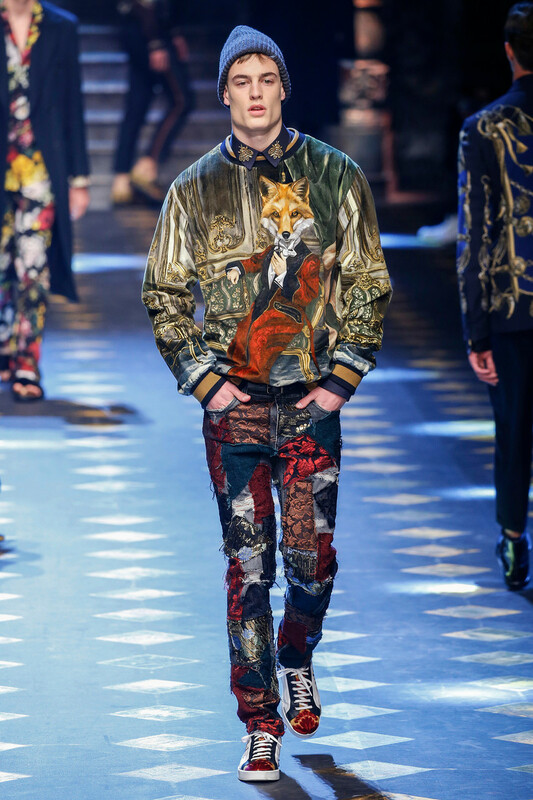 Regal canines—including a great snob fox in a smoking jacket shown on one velvet sweatshirt worn over brocade patch jeans—were a theme. 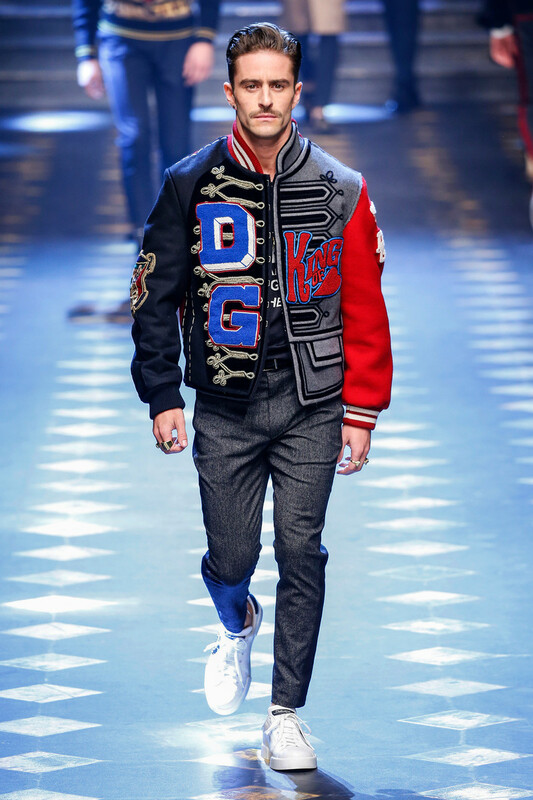 Sneakers were dipped in resin, given elegant brand signature, or scribbled and sketched on in a teen-dream mosaic like those covering the backpacks of the Cameron Dallas fans screaming in the freezing cold outside.